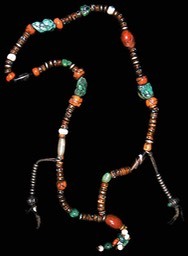 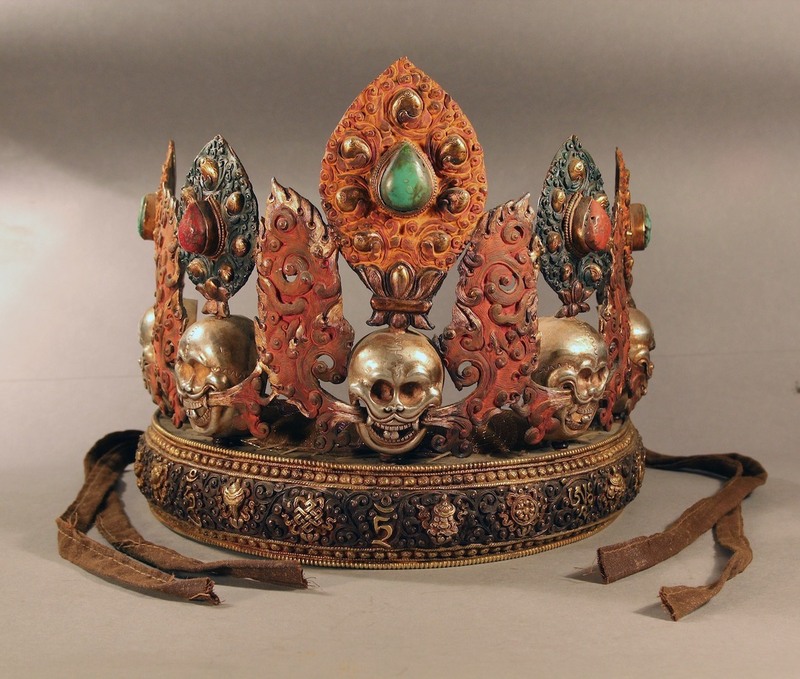 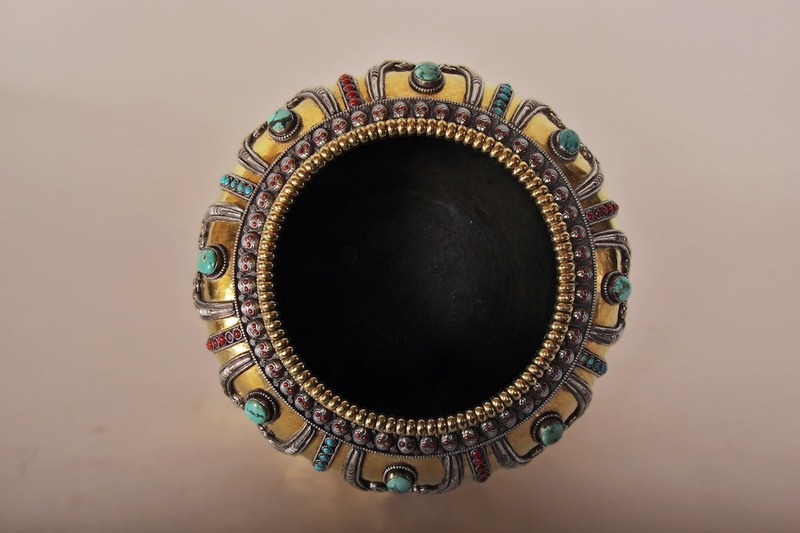 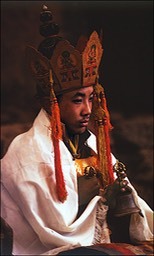 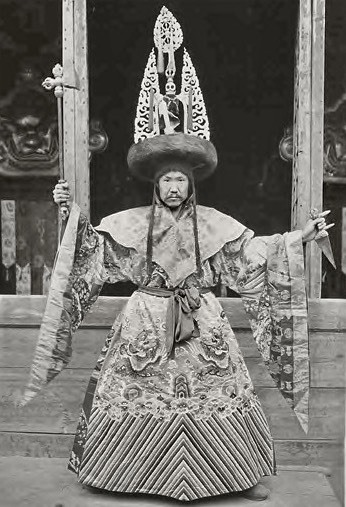 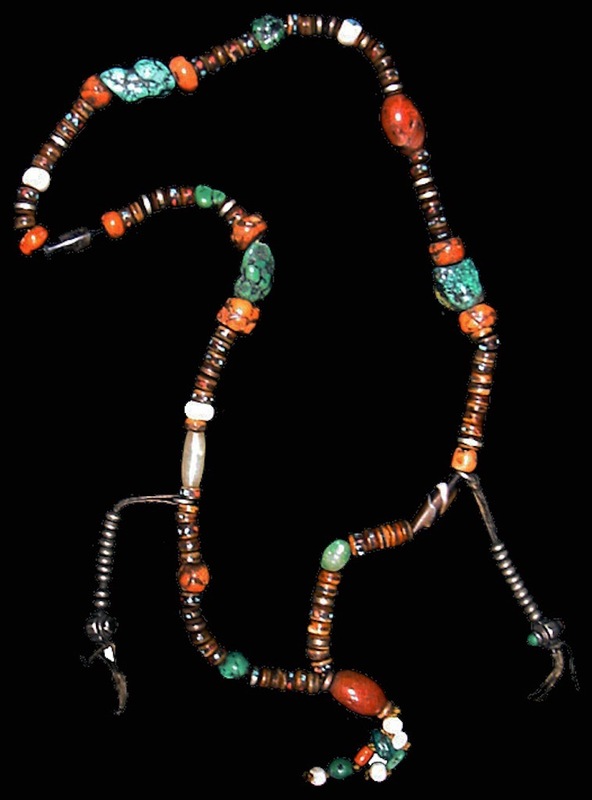 Crown of priest, turquoise, coral, silver, copper, iron, fireguilded. 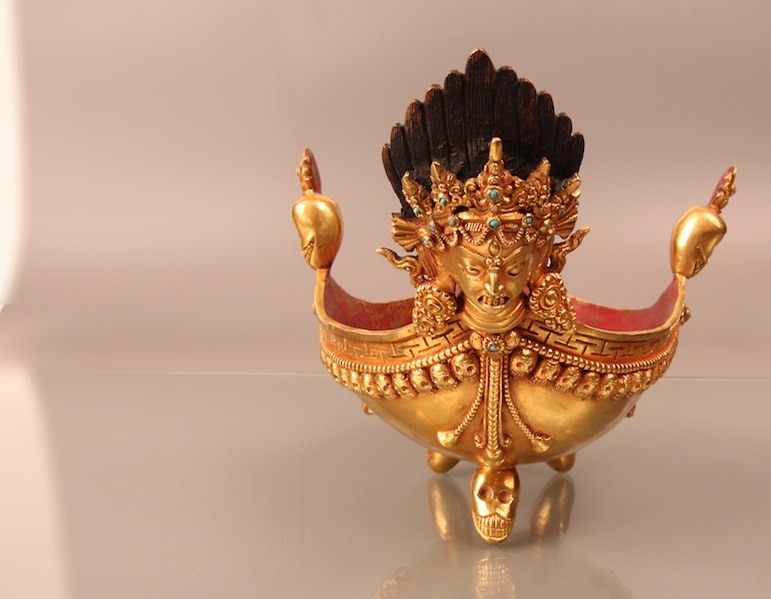 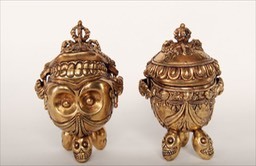 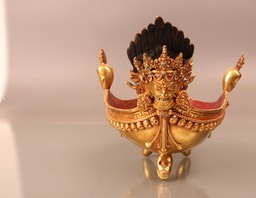 Kapala set, 20 cm h.
Skull bowl set, fgpl 12 cm h.
Skull bowl set, fgpl, 12 cm h.
Butterlamp set, 32 cm h.
Butterlamp set, 42 cm h.
Butterlamp set, 17 cm h.
Chayten, bronze, silver top, 22 cm h.
Newar Oillamp set, bronzebrass mix, 91 cm h.
Throne, 24 x 18x 44 cm, statue space 20 cm h.
Garuda mask, repoussé, fireguilded copper, 45 cm h.
Garuda mask, silv fgpl, ca 25 cm h.
Yamanthaka mask, silv fgpl, ca 25 cm h.
Skull mask, silv, paint, set of five, embossed, 18 cm h.
Incense burner, fireguilded, lost wax, ca 30 cm width. 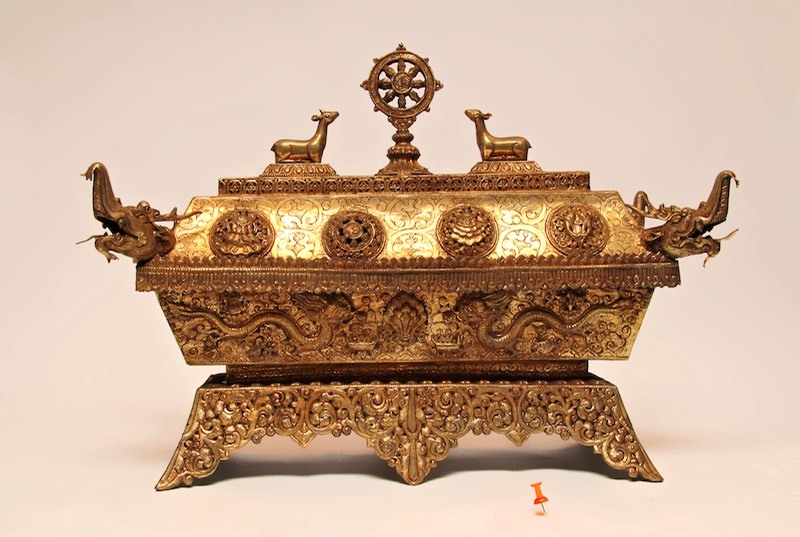 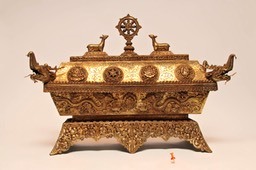 Chörten silv 35 cm h.
Tibetan gau box silv. 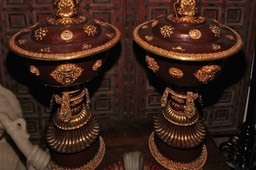 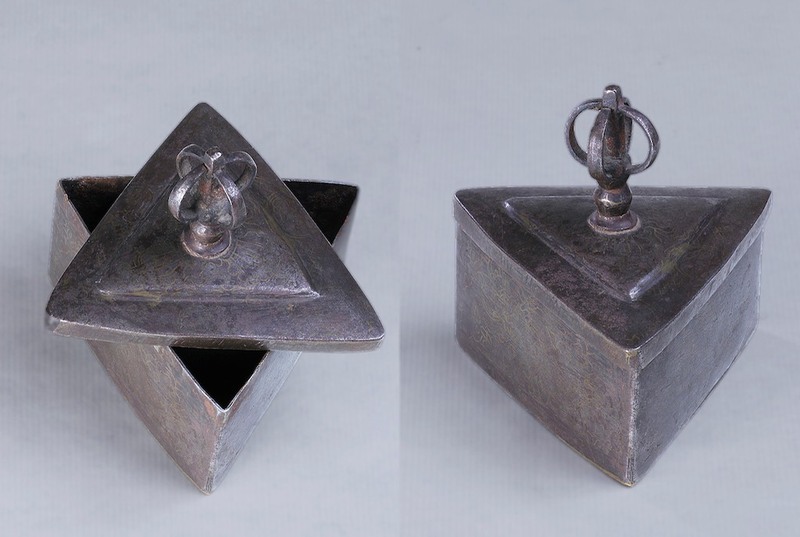 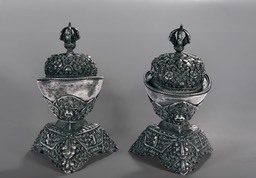 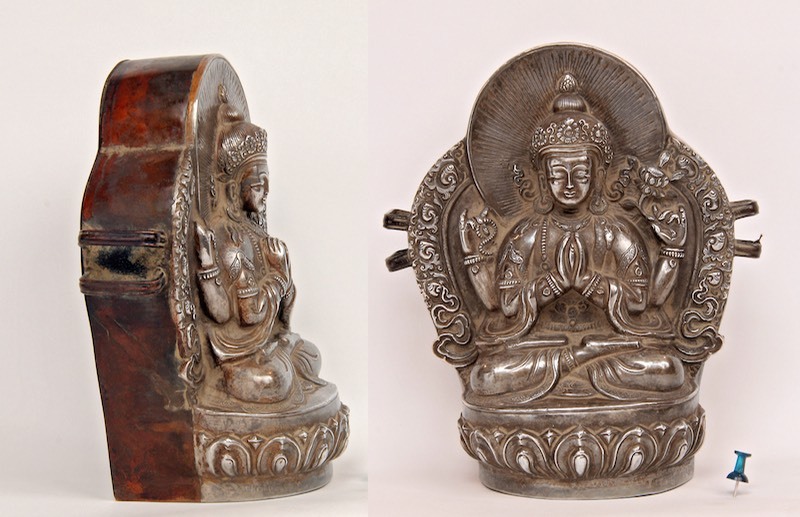 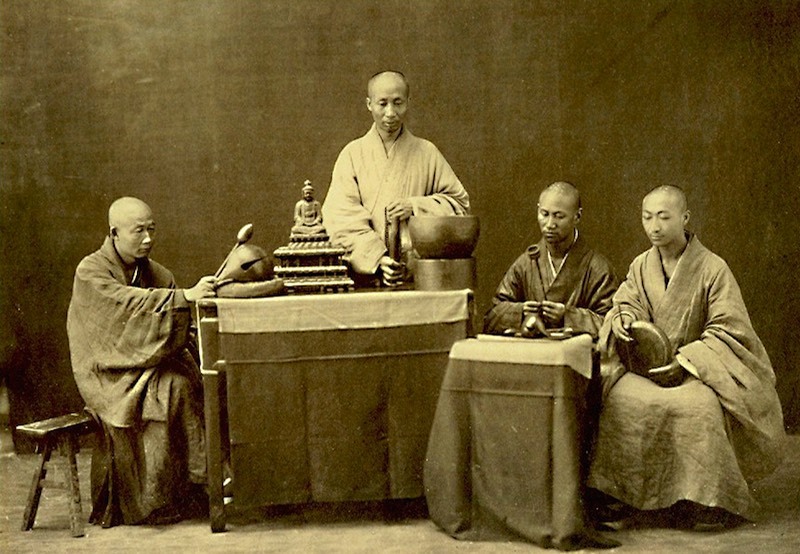 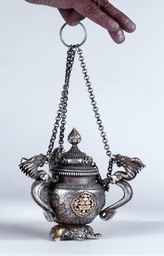 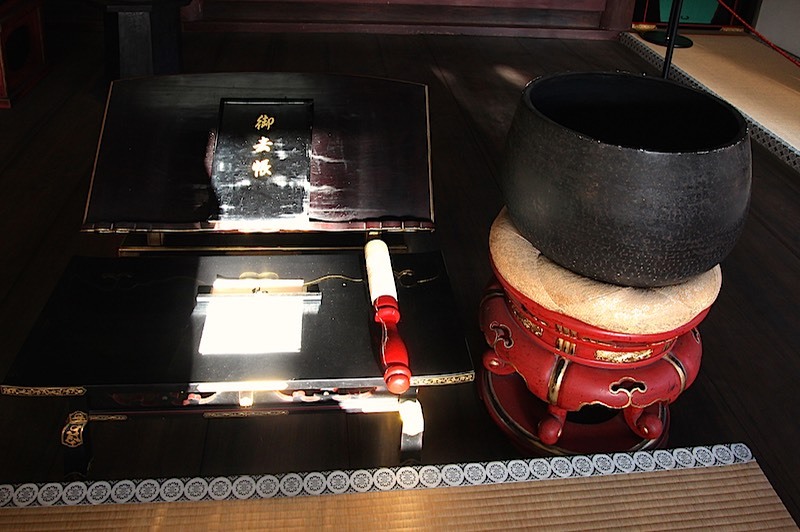 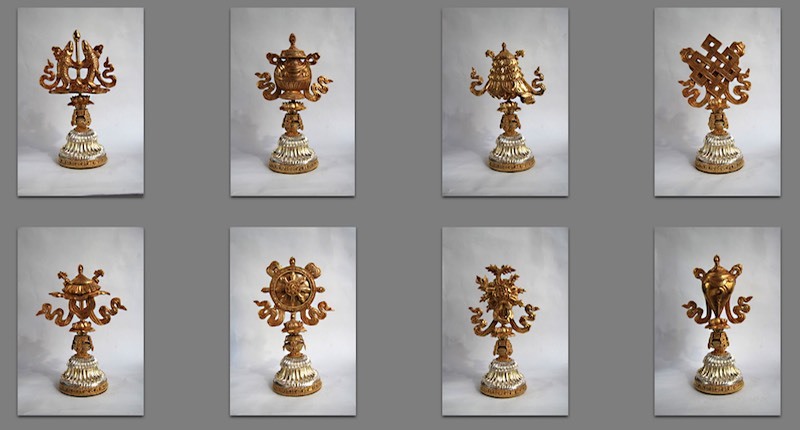 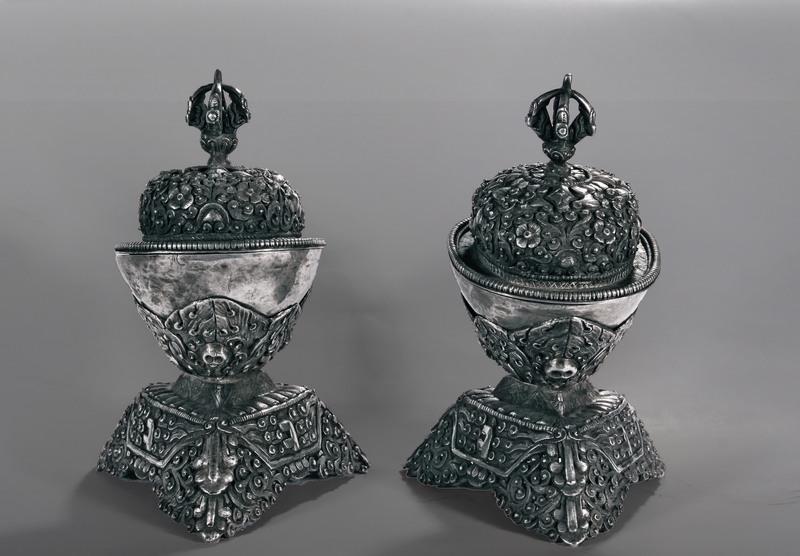 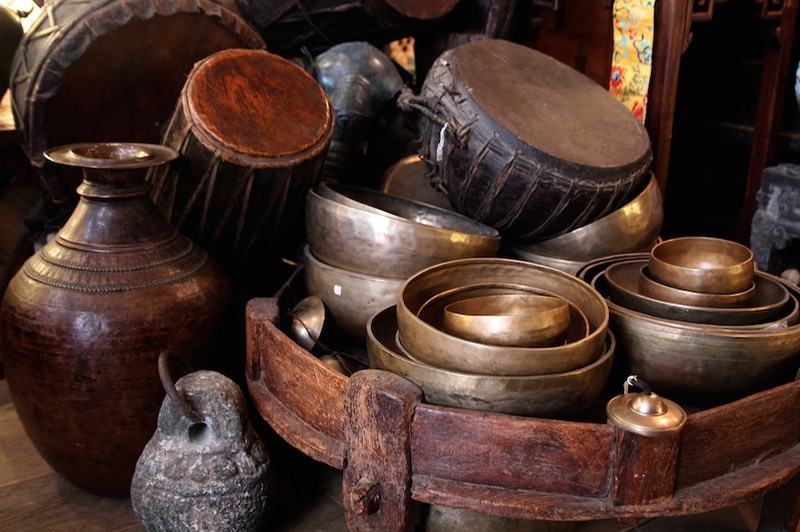 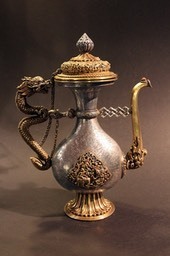 14 cm h.
Tibetan Gau prayerbox 22 cm h.
Gau, prayerbox, 20 x 20 c.
left to right: Incense burner with handle, cup holder, cymbal holder, Bhutan, silver. 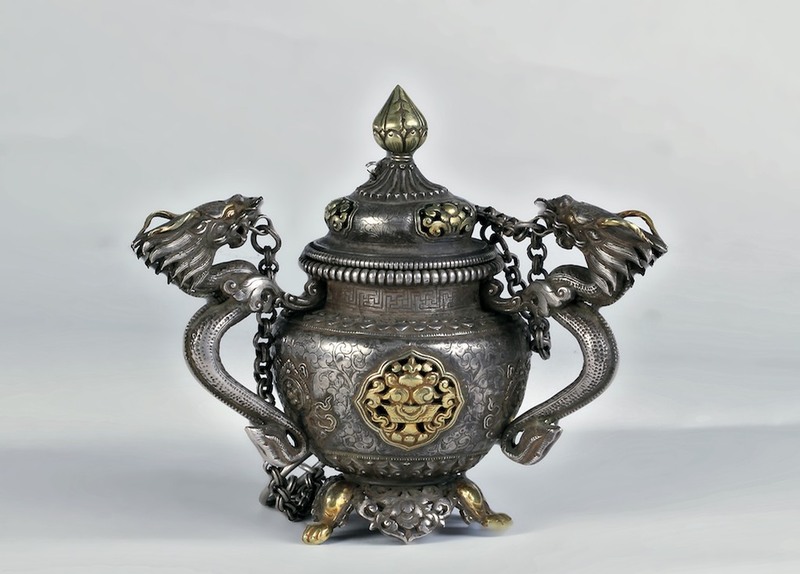 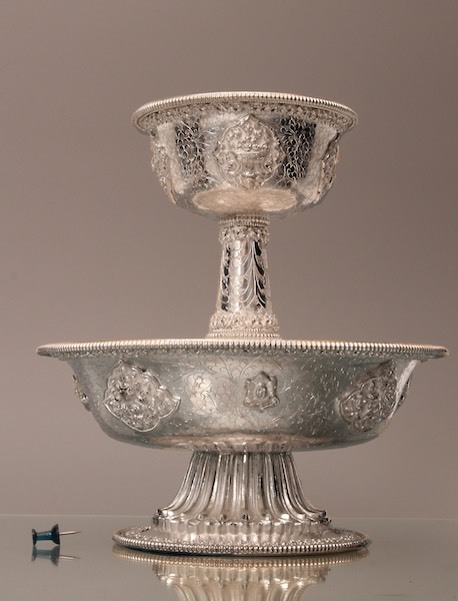 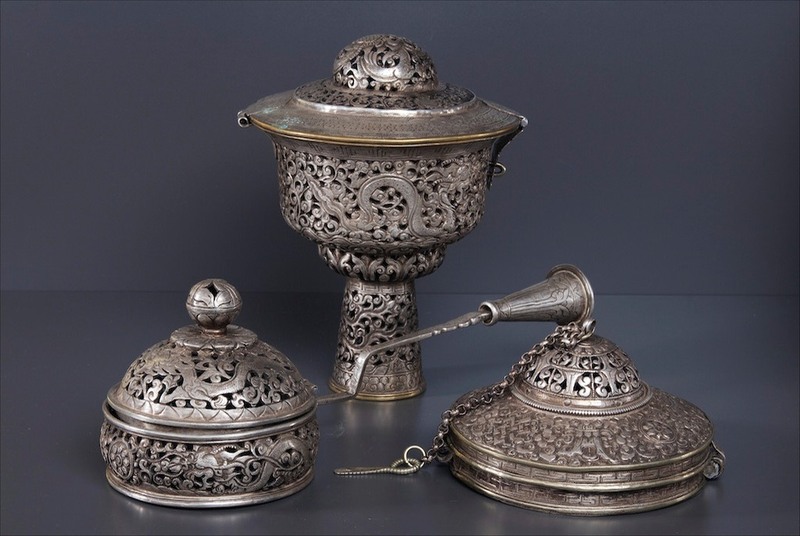 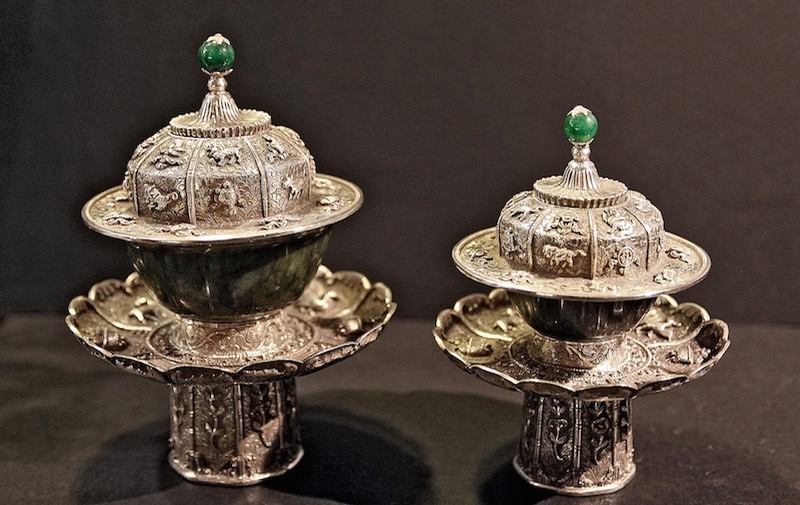 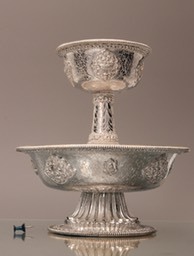 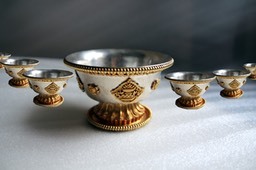 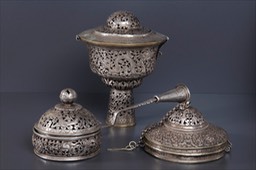 Beggar bowl, silv fgpl, ca 14 cm h.
Teacup set, Lhasa style, repoussé silver, nifrite cups. 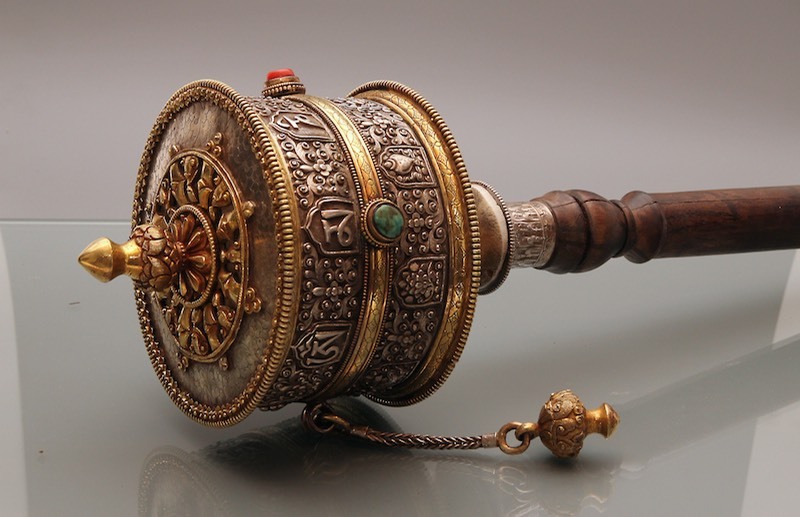 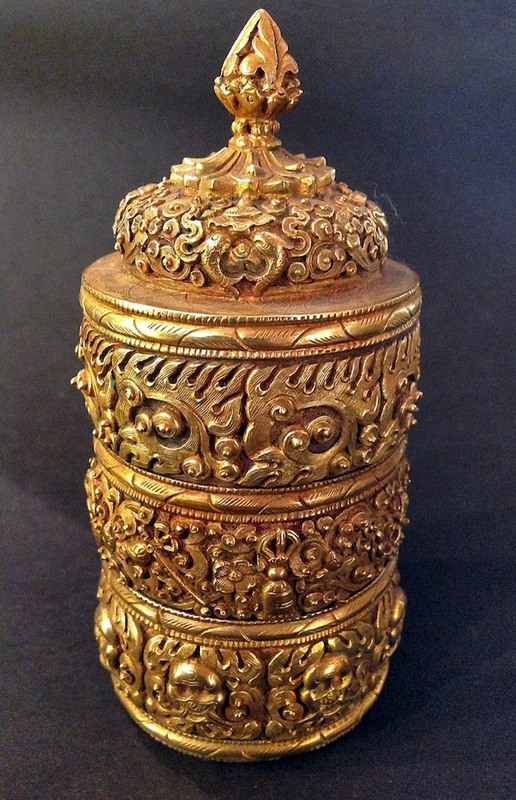 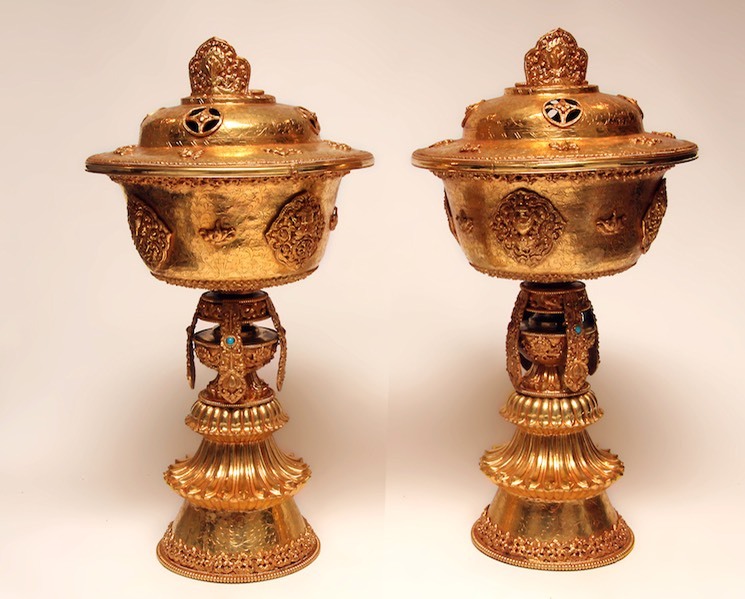 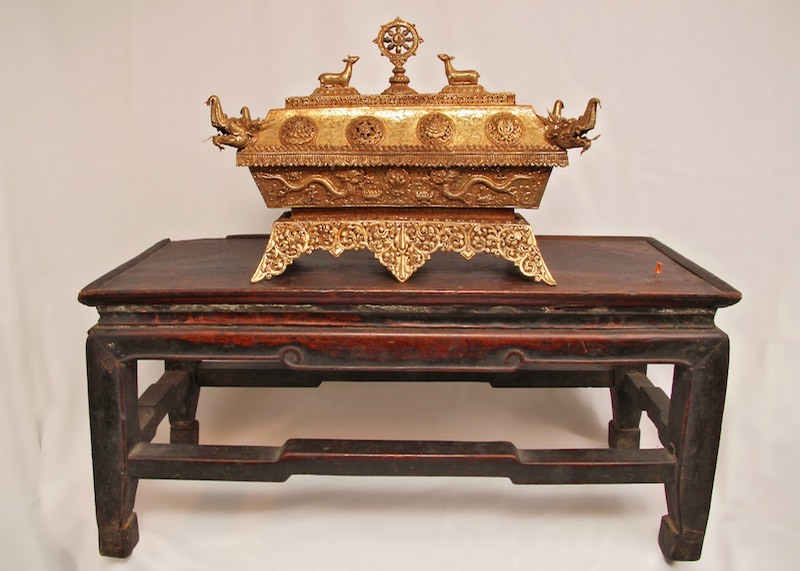 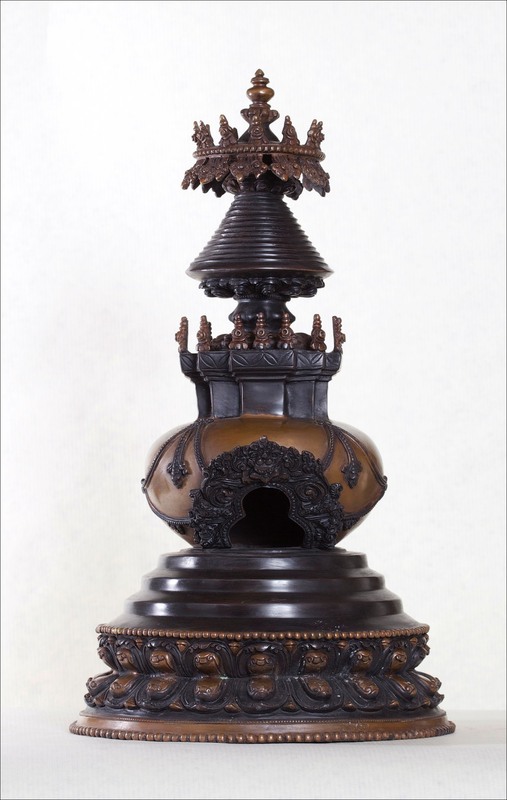 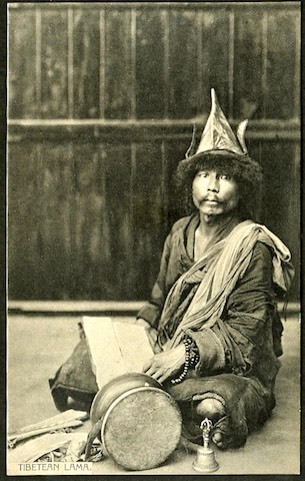 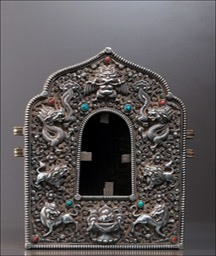 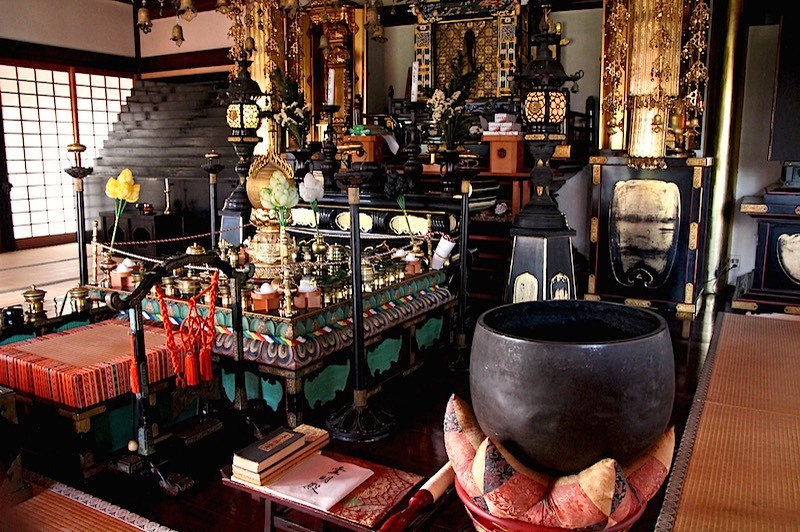 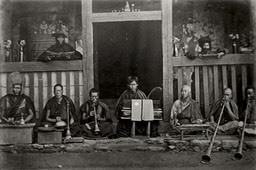 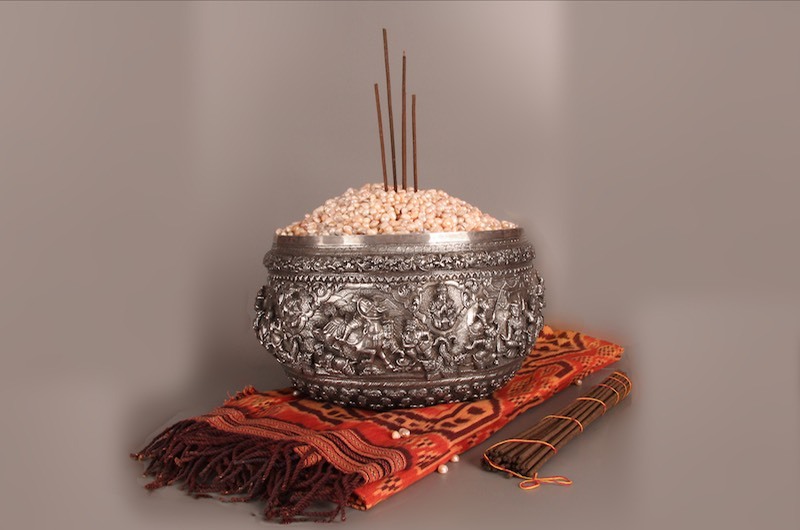 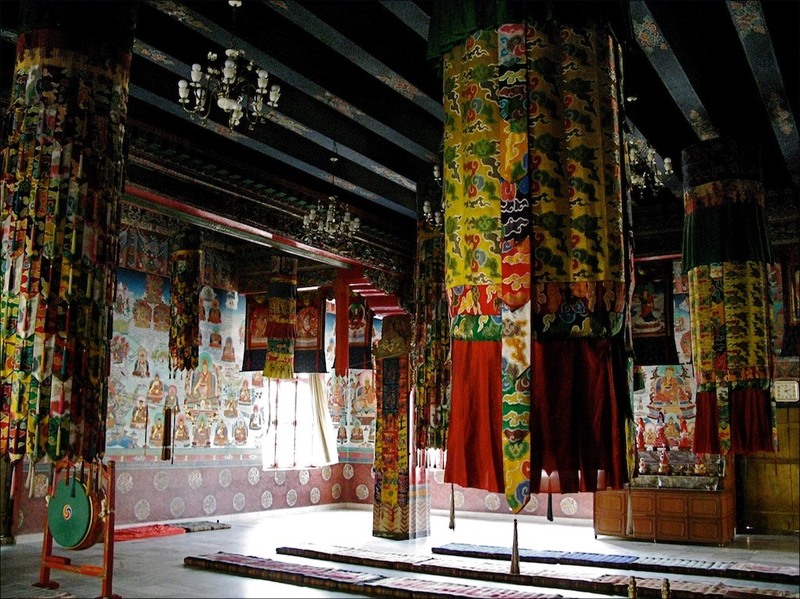 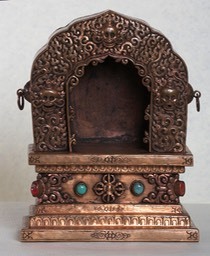 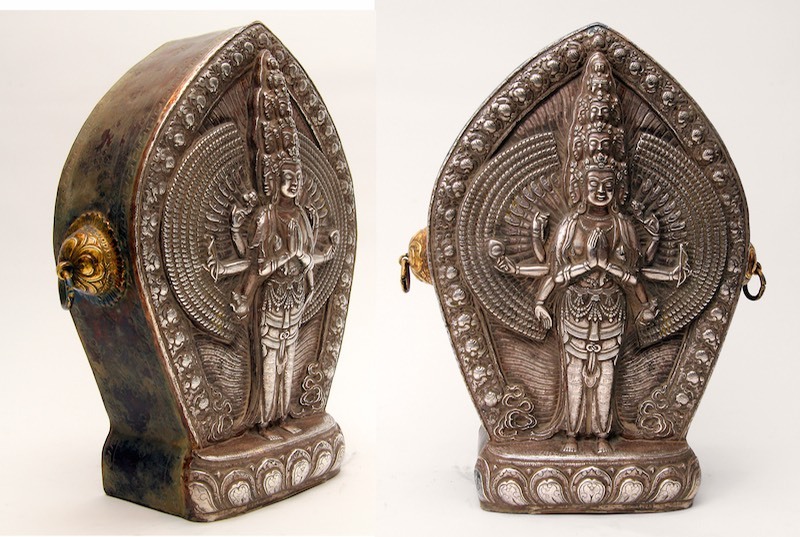 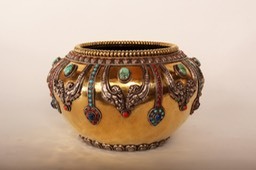 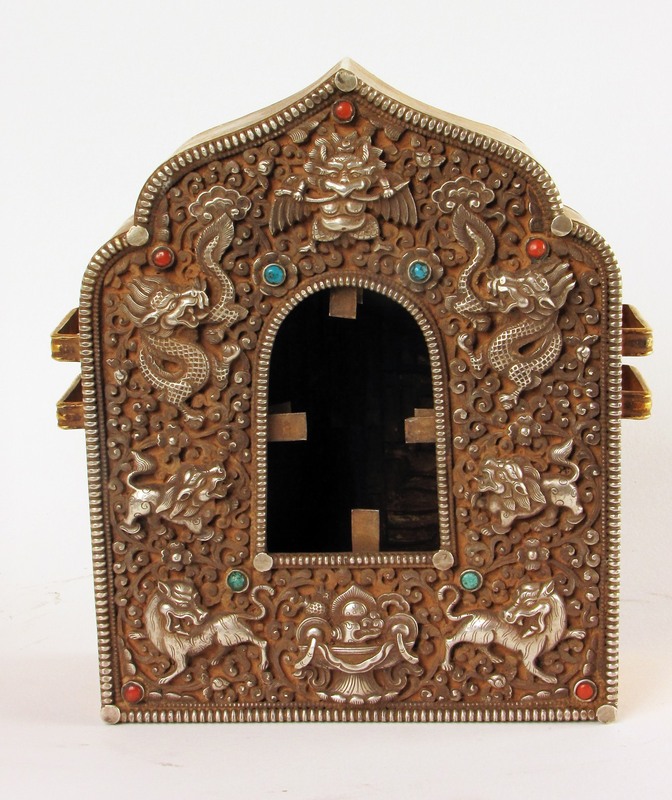 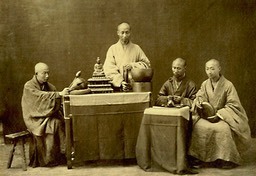 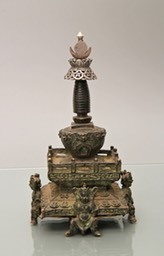 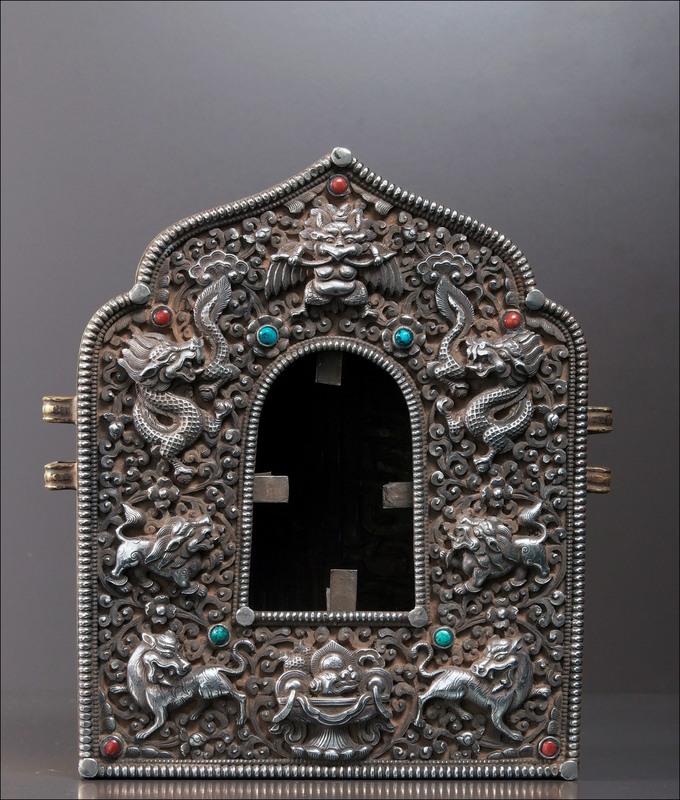 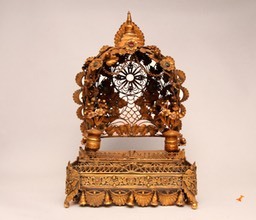 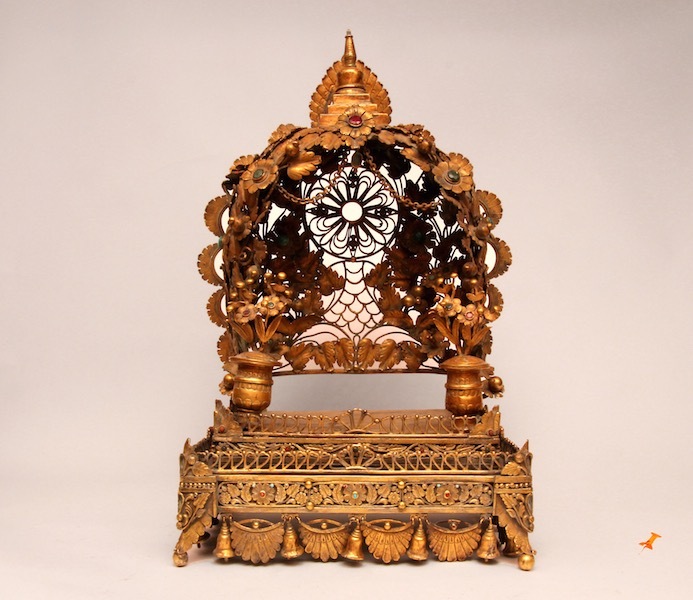 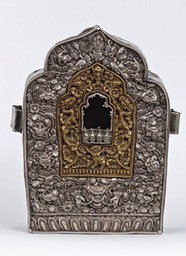 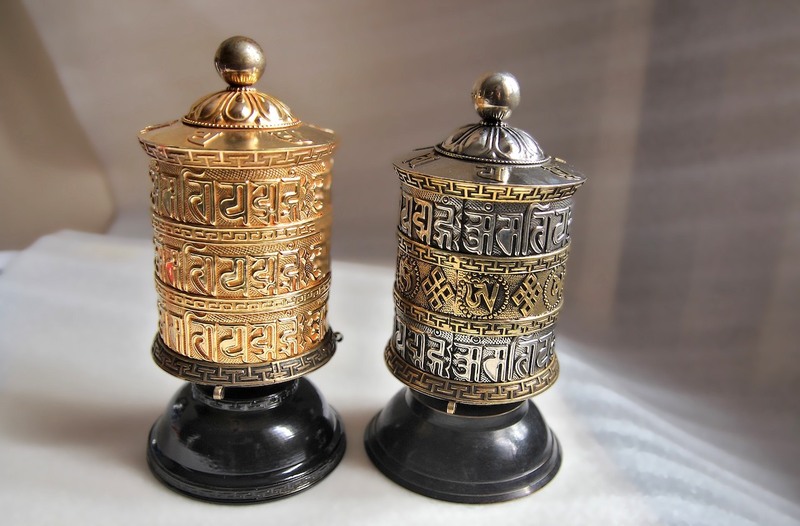 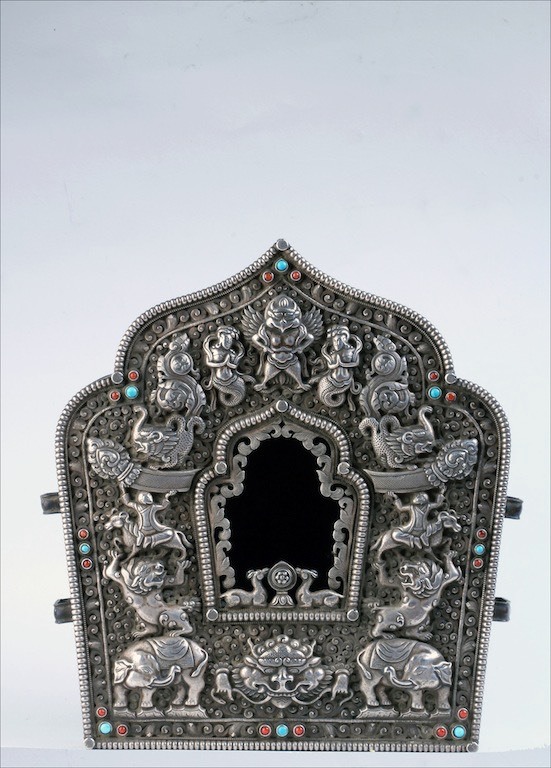 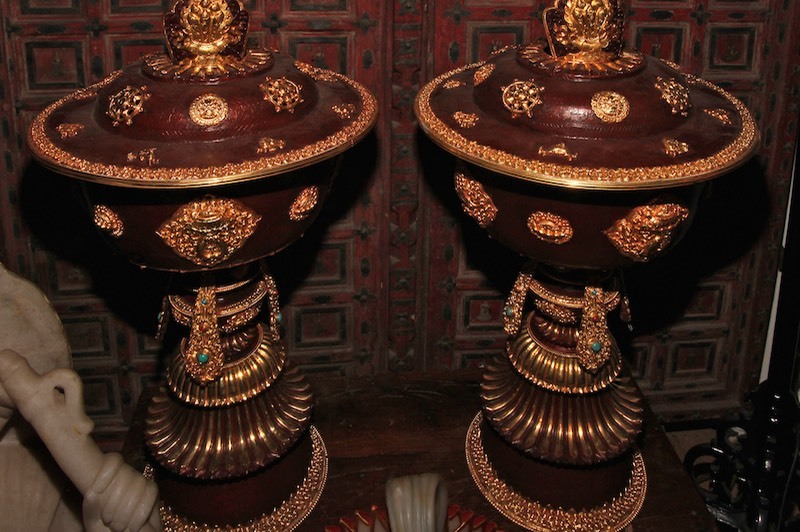 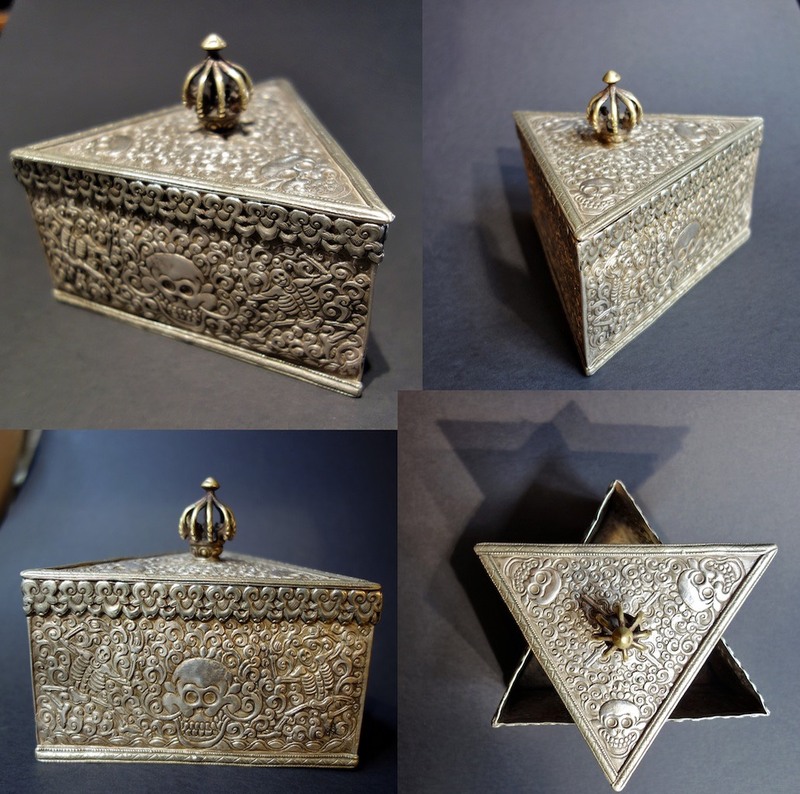 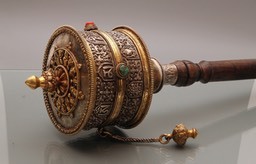 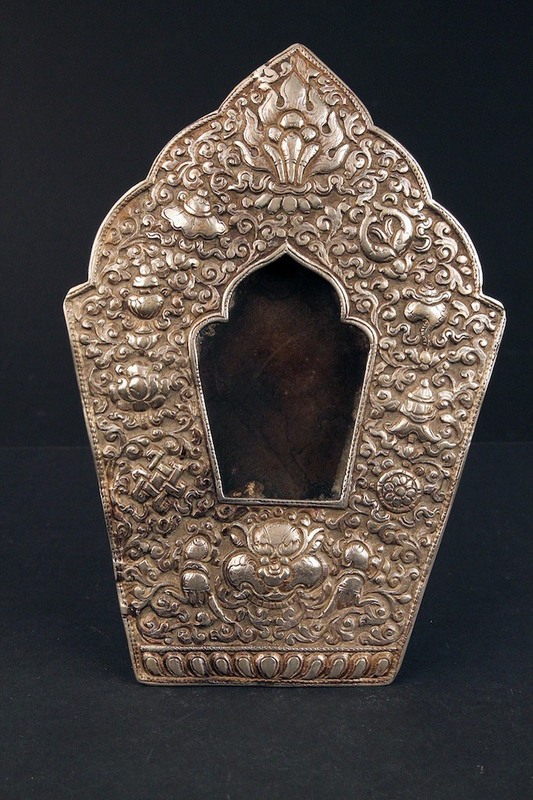 Prayerwheel, turnable, ca 20 cm h.
Triangle box, dorje top, iron, 12 cm h.
Storeybox, fgpl copper, ca 20 cm h.
Flutes, fgpl copper, silver, turquoise, ca 50 cm. 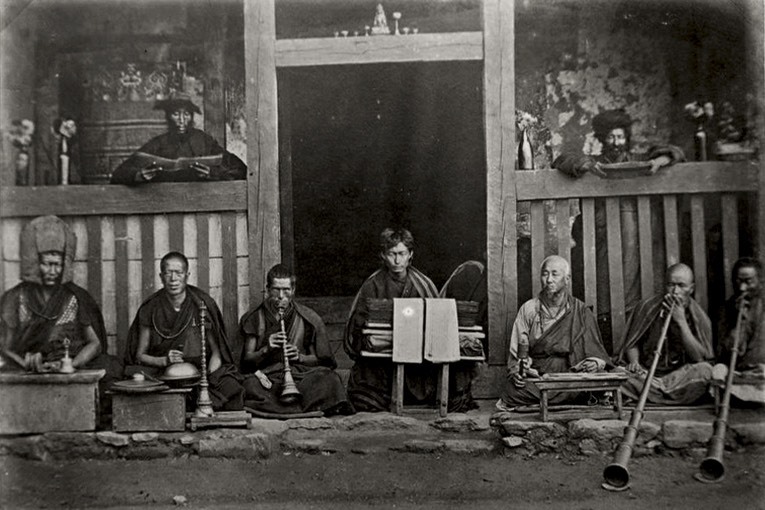 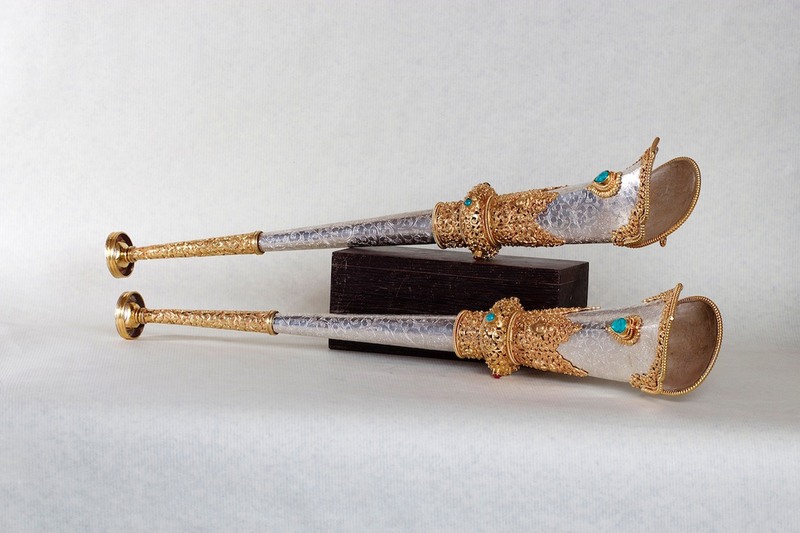 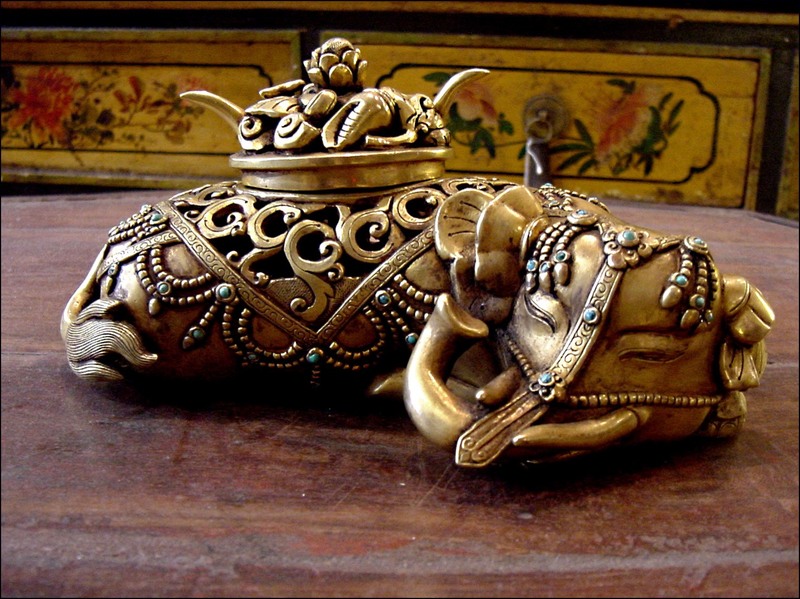 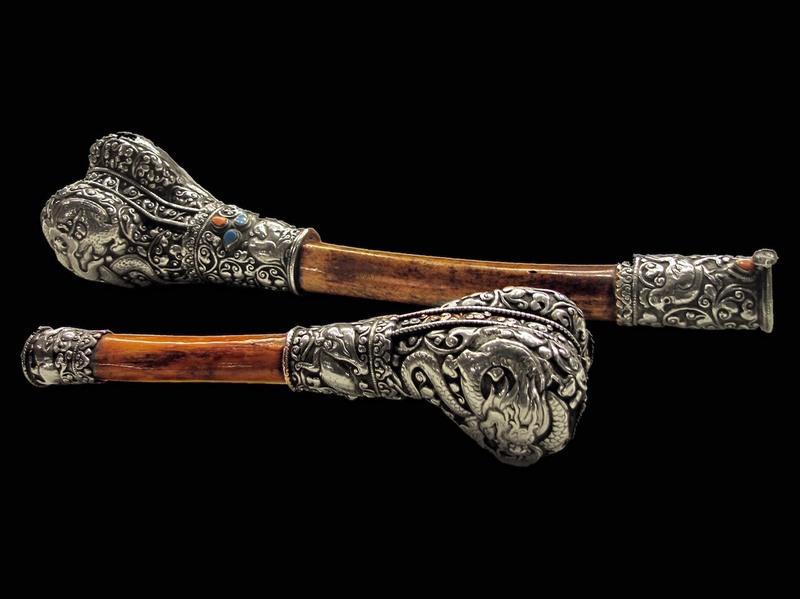 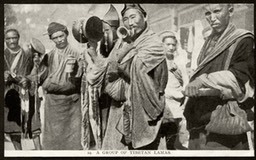 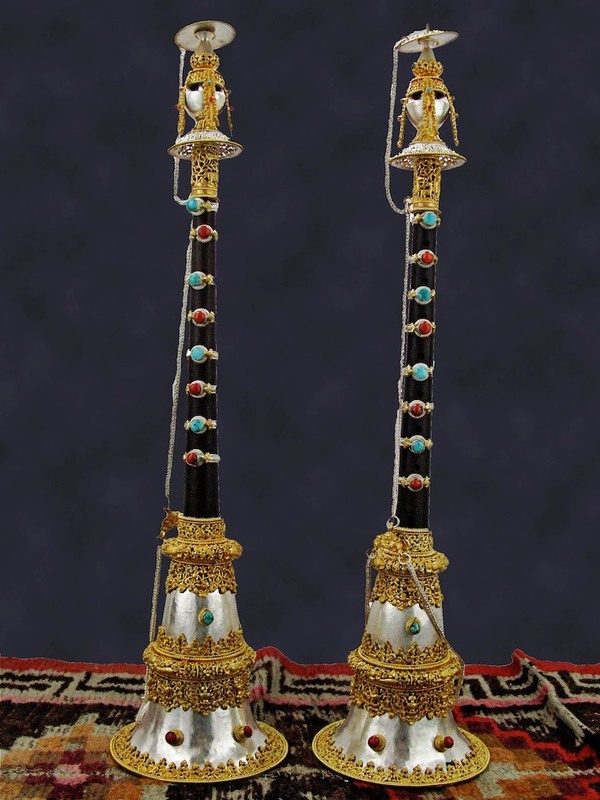 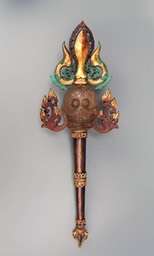 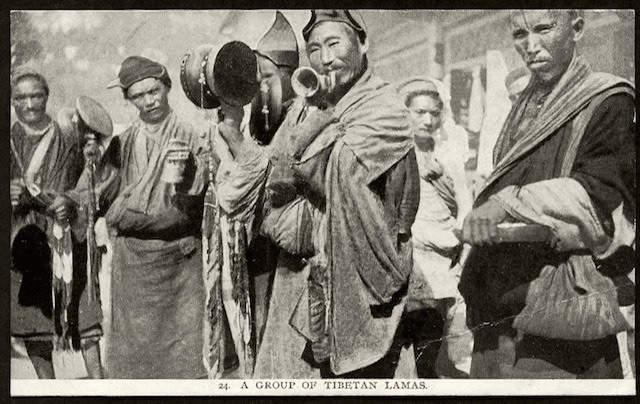 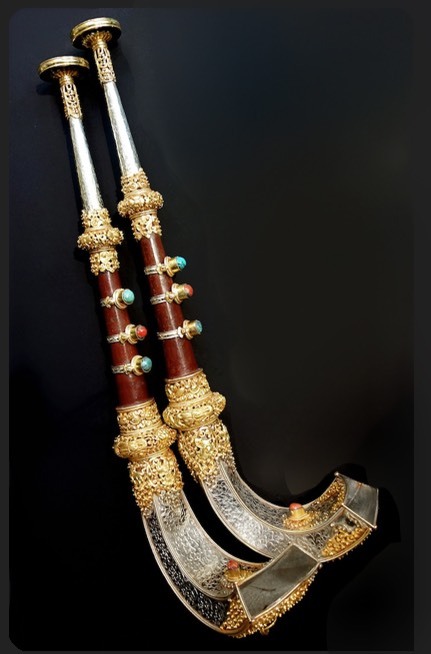 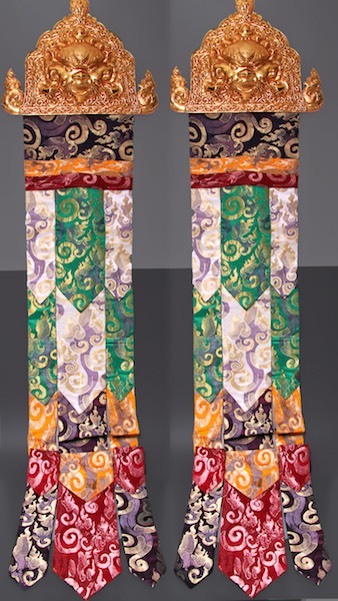 Hobo-type flutes, silv fguilded copper, wood, Tibet, ca 60 cm. 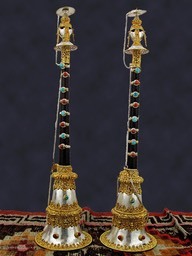 Bönpo flutes, silv, fgld copper, coral, turquoise, ca 55 cm. 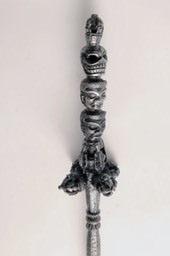 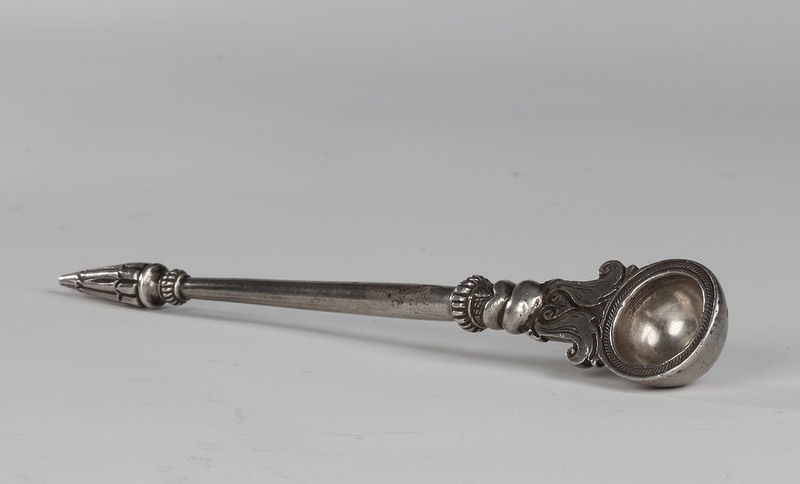 Ritual oil spoon, ca 17 cm. 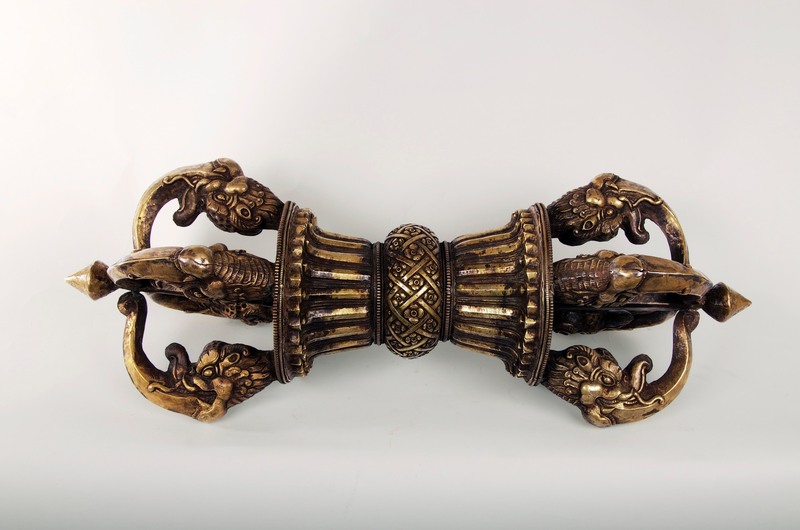 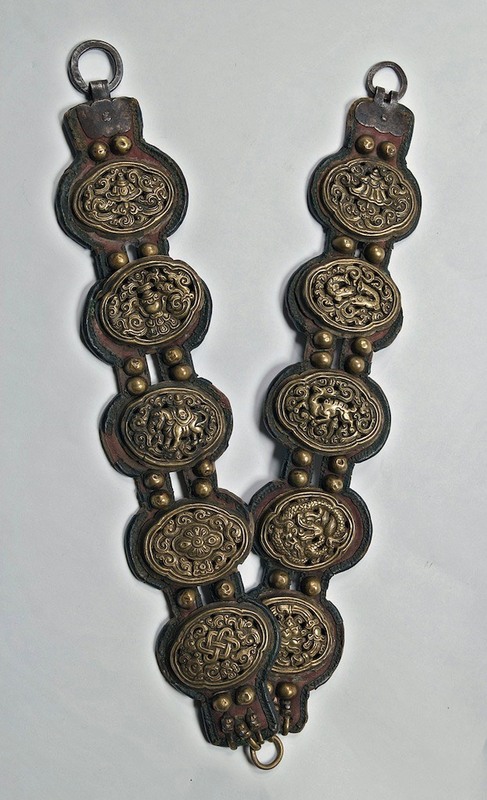 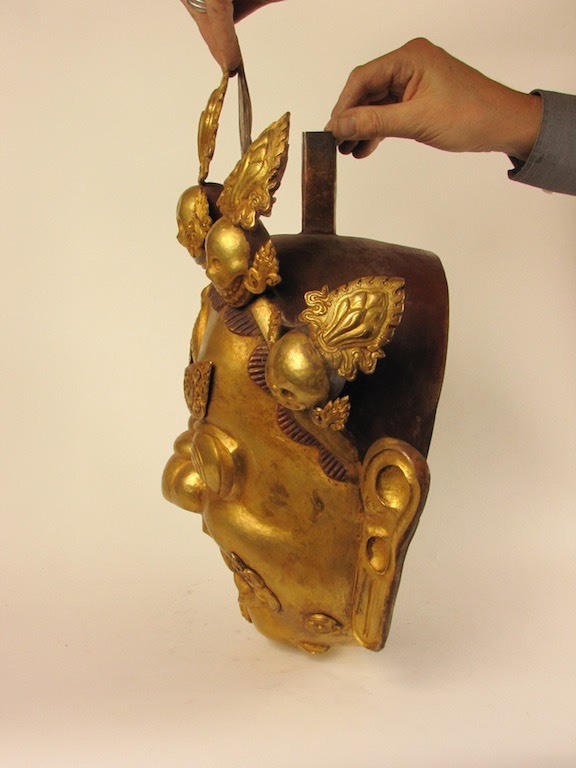 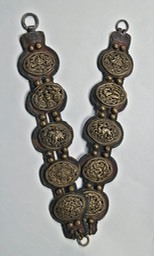 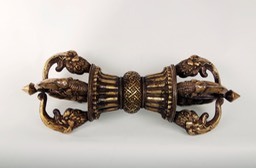 Astamangala belt, for horse, brass on leather 40 cm each. 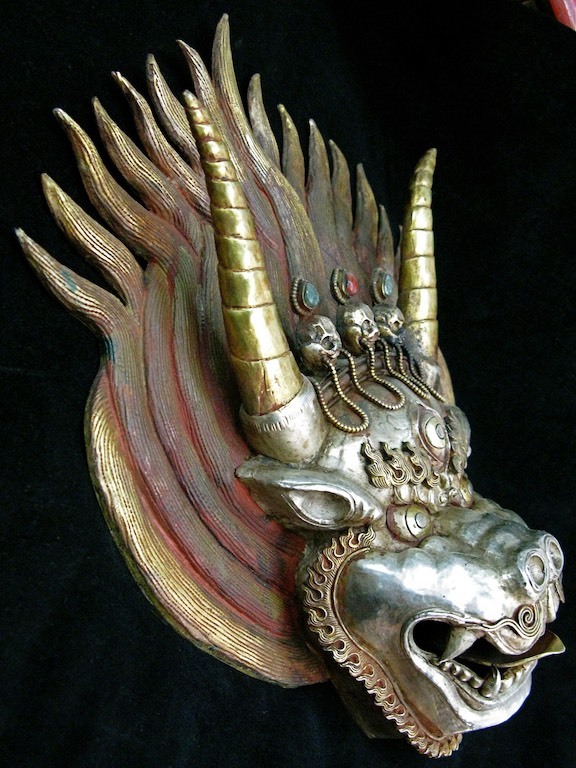 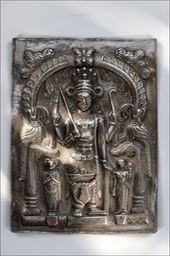 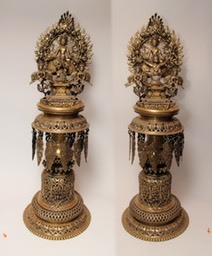 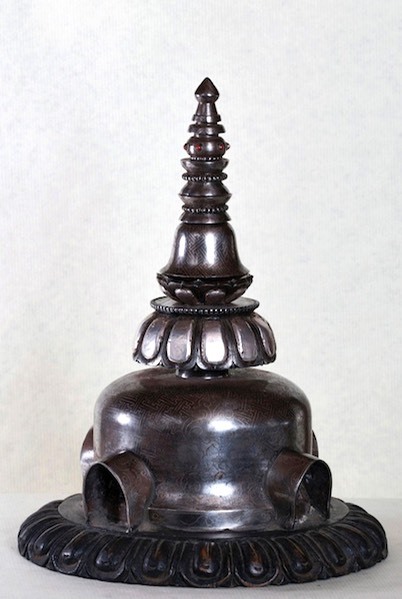 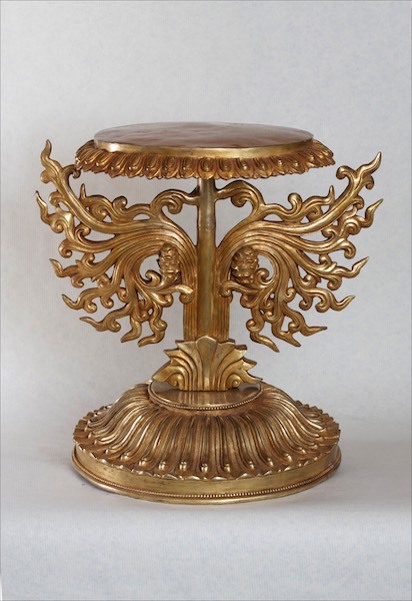 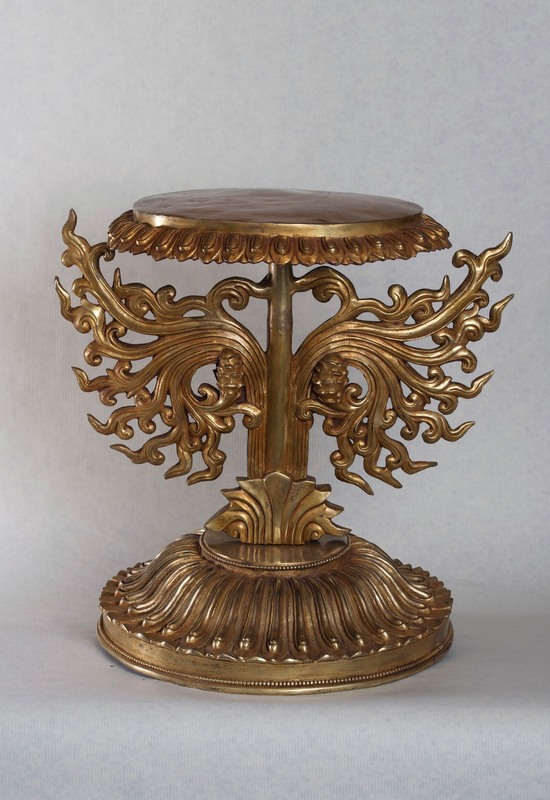 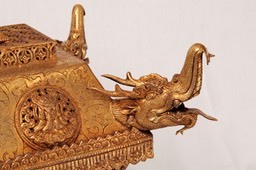 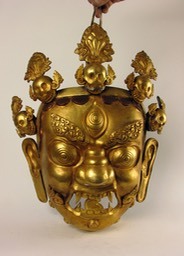 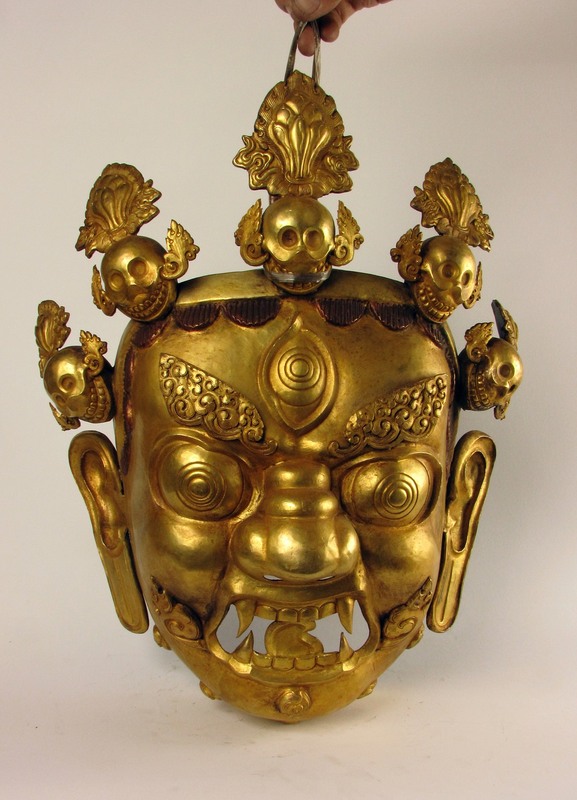 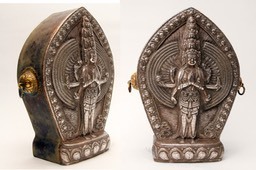 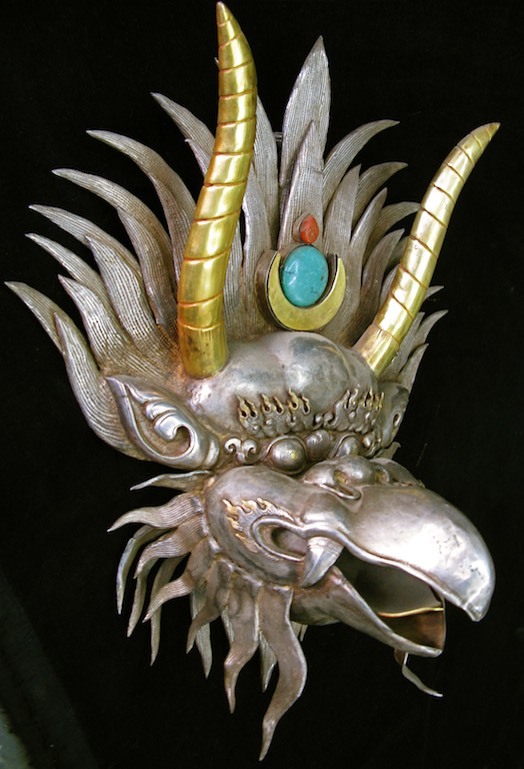 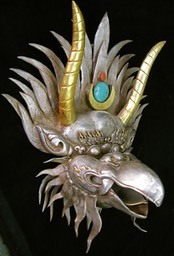 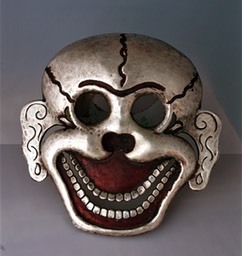 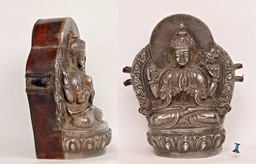 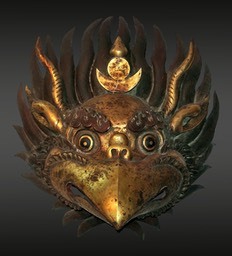 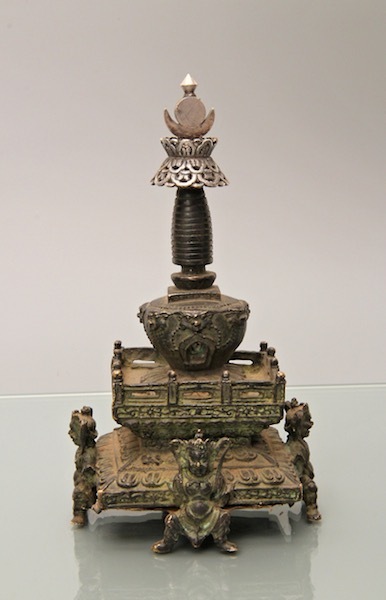 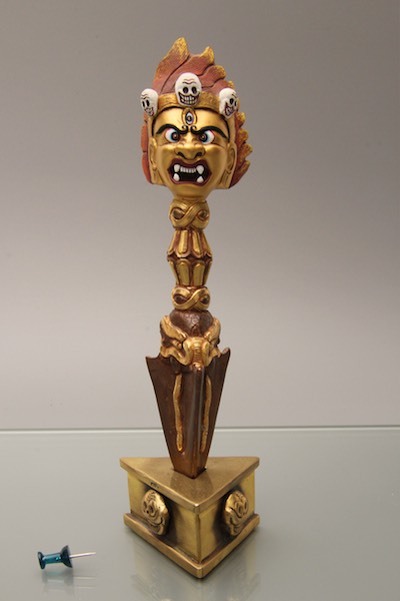 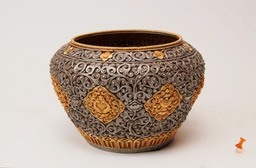 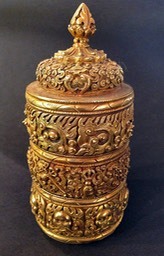 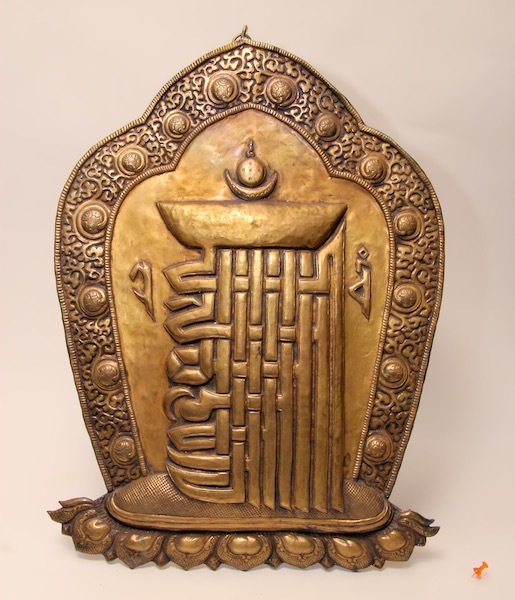 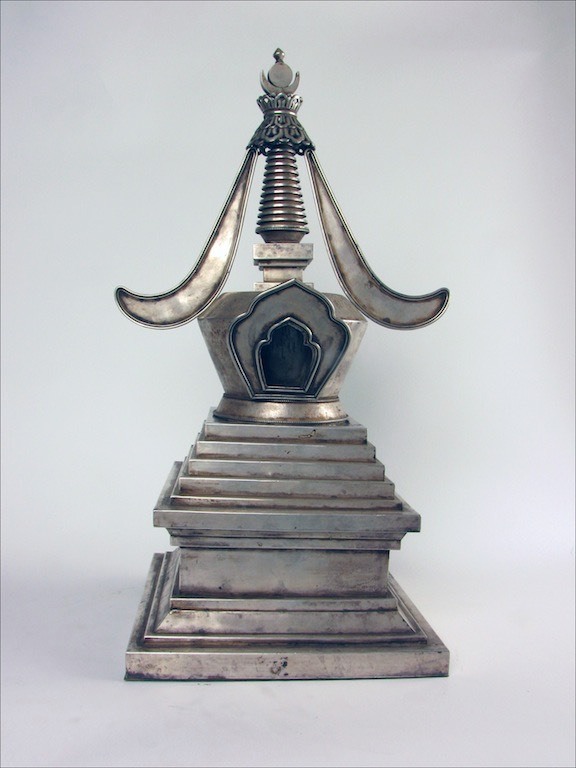 Vajra / dorje, Bhutan, embossed/repoussé, ca 55 cm. 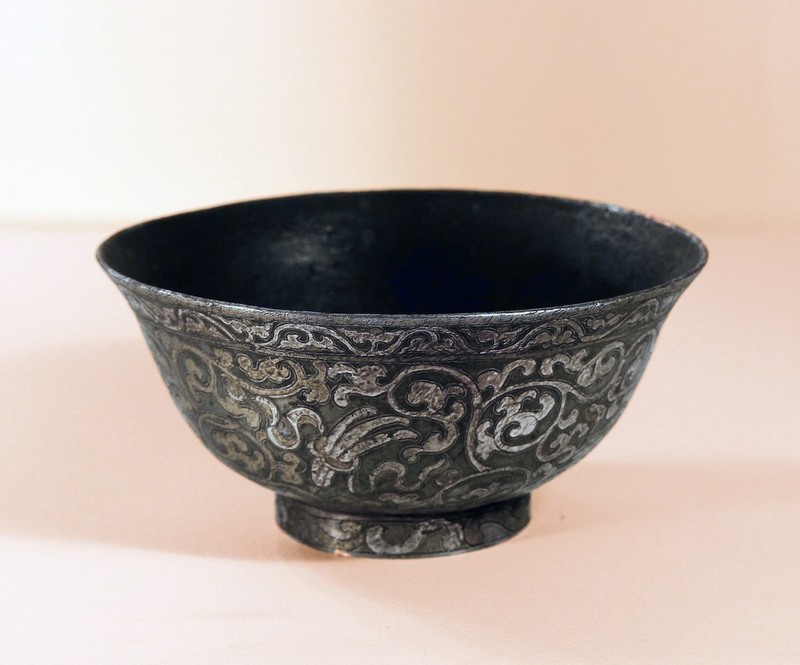 Bowl, iron, silv inlay, diameter ca 12 cm. 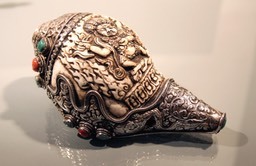 Conch, coral, turquoise, silver (1). 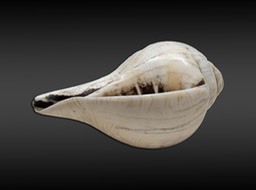 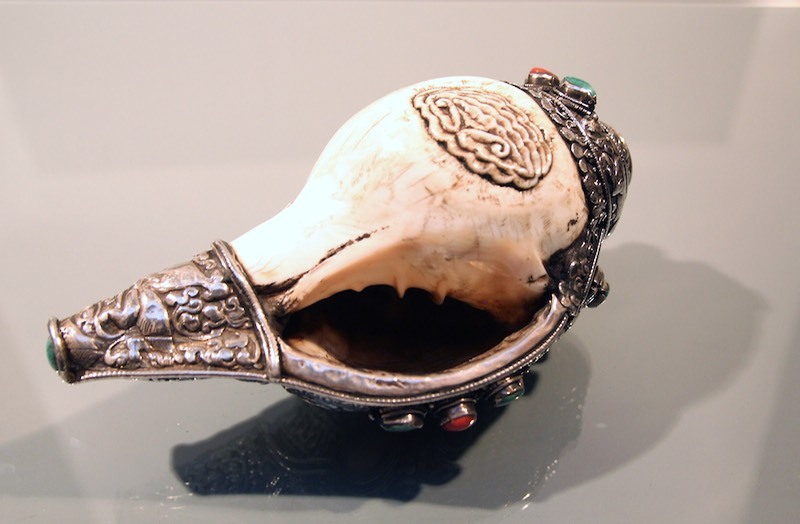 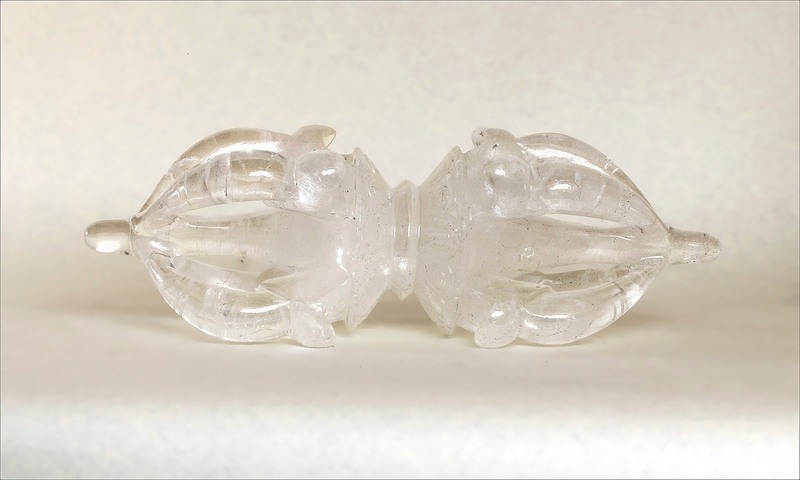 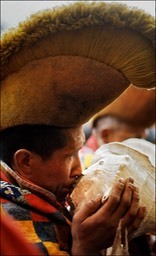 Conch flute, ca 20 cm wide (1). 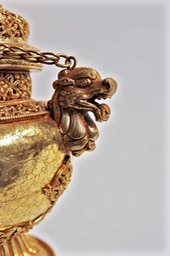 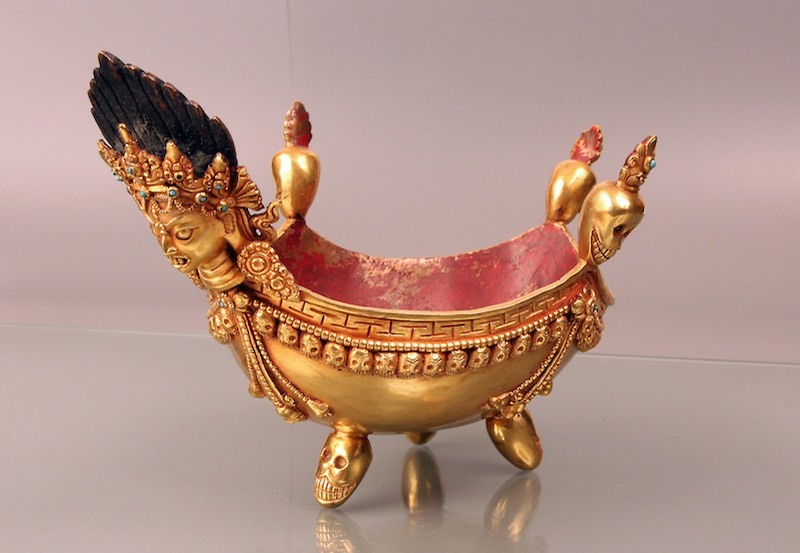 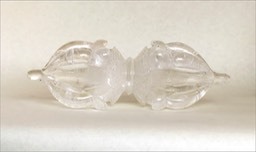 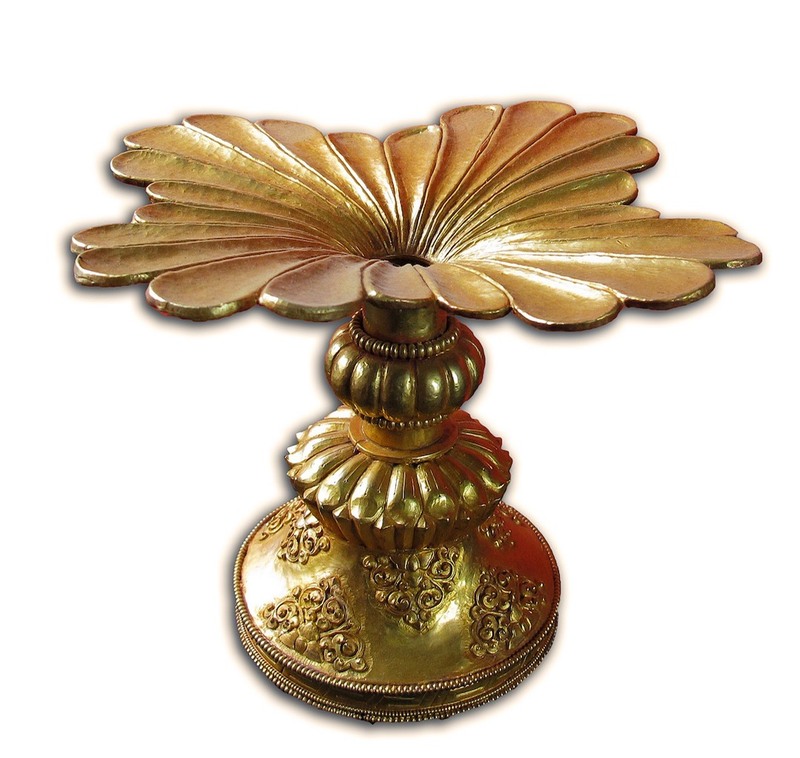 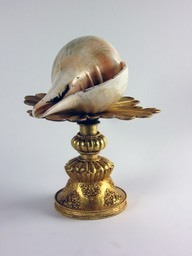 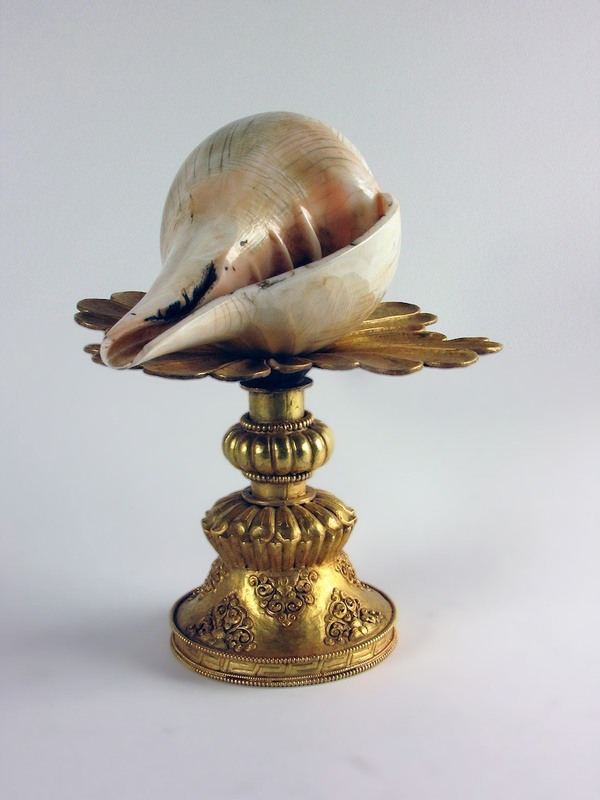 Conch holder, fgld, repoussé, ca 20 cm h (2). 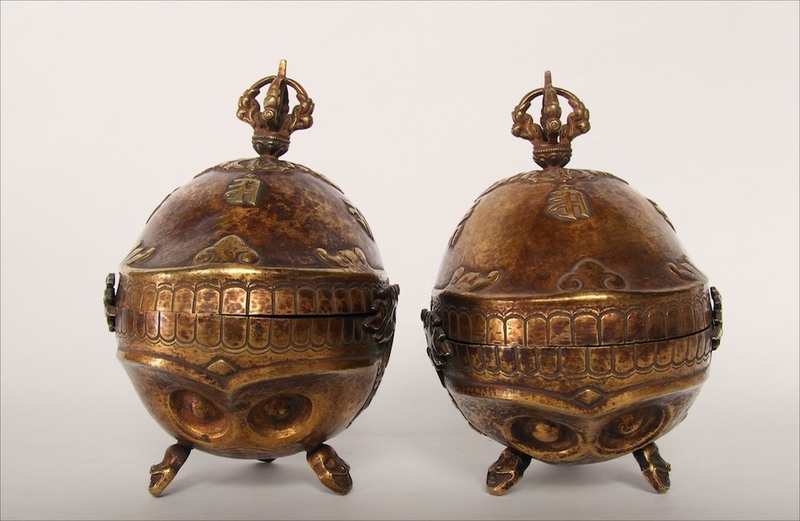 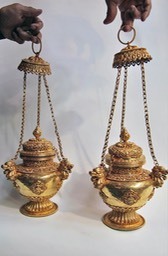 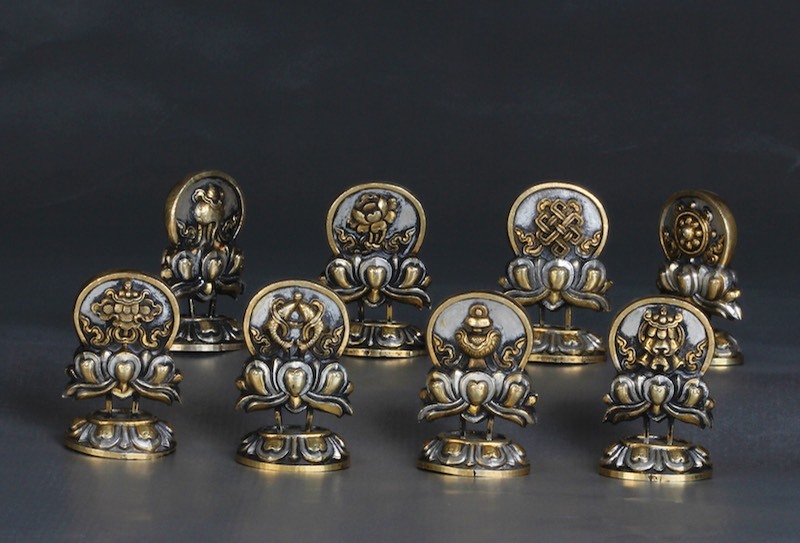 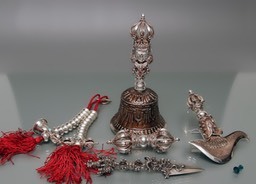 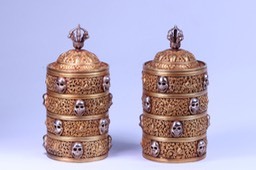 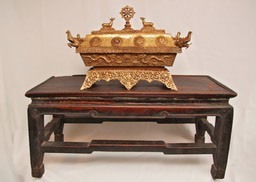 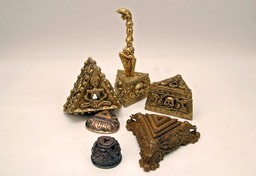 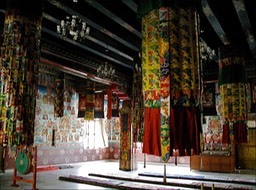 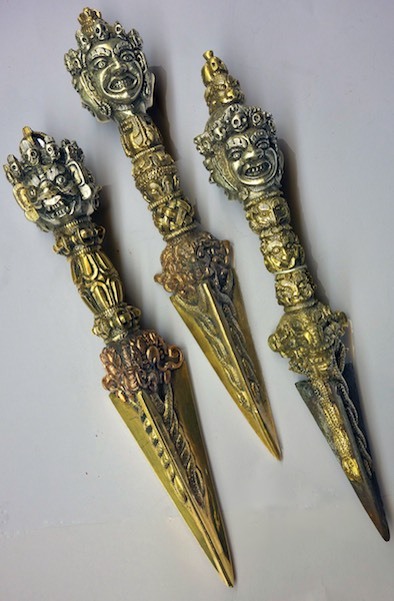 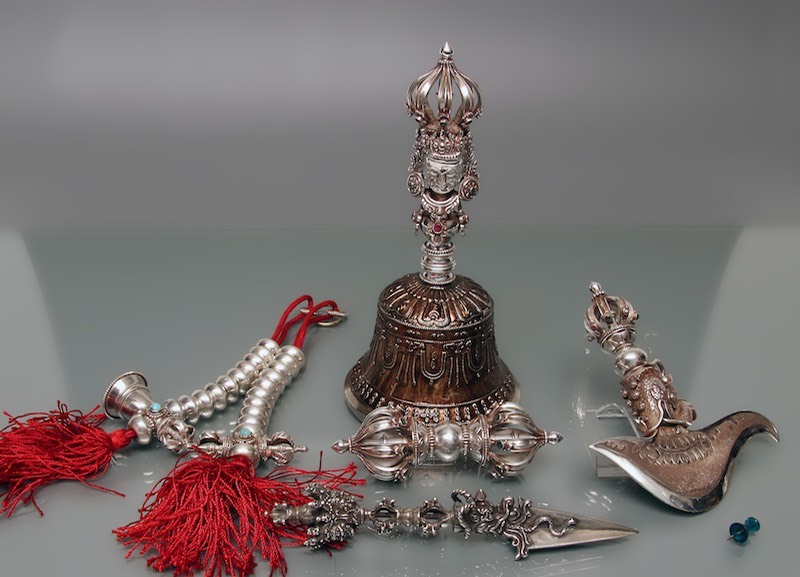 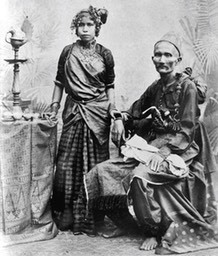 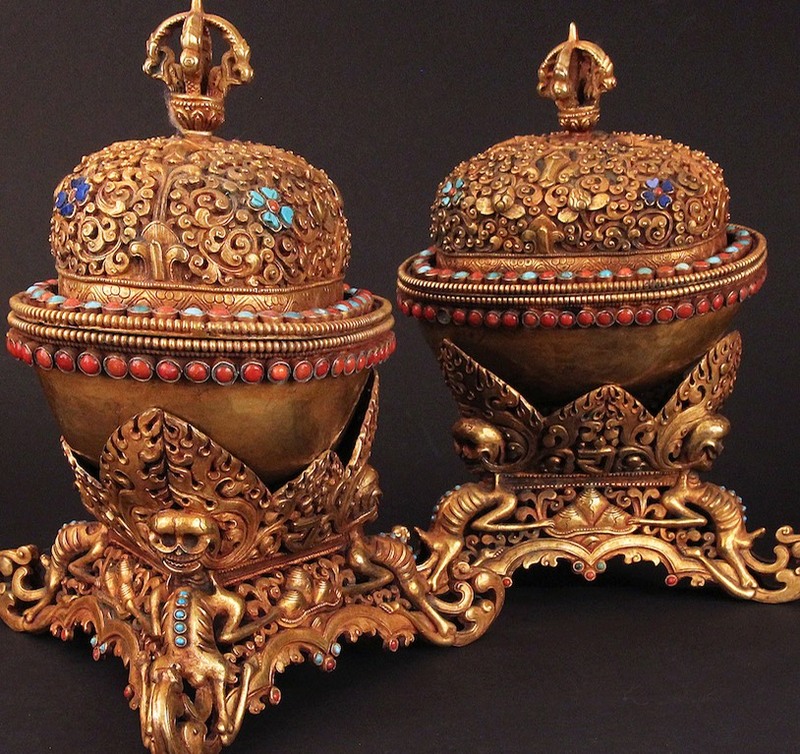 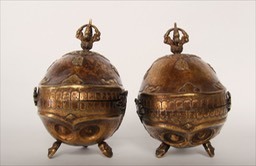 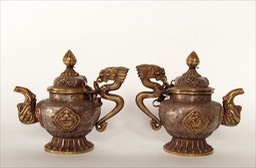 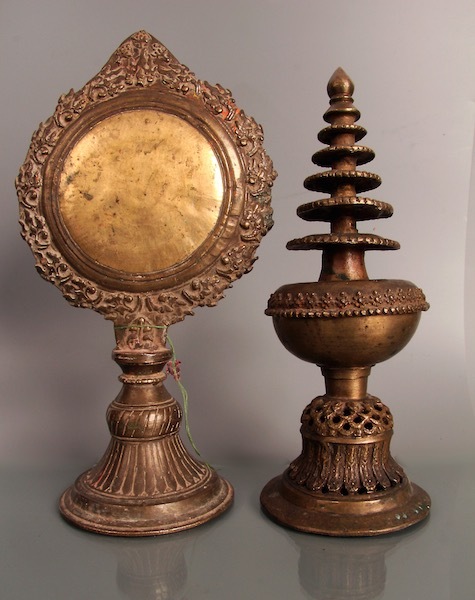 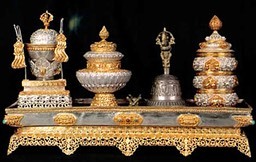 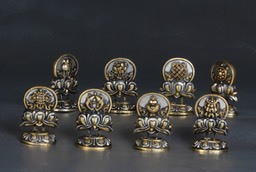 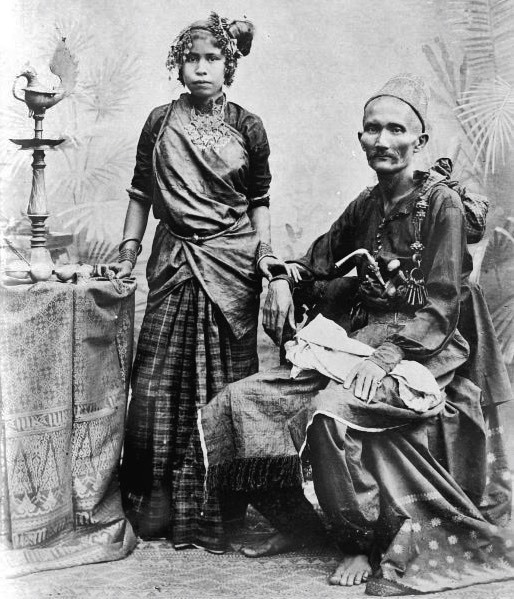 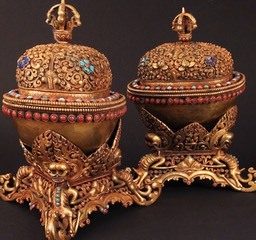 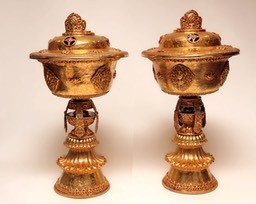 Astamangala set, each 20 cm h.
Bell (20 cm h), dorje (11 cm), counters (big size:11 x 5 cm), etc. 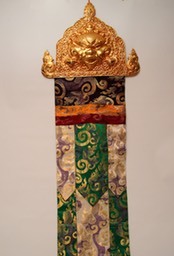 Wallhanging set, total size 180 x 30 cm (1). Wallhanging set, top 41 x 30 cm, fireguilded repoussé (2). Chenrezig gau box, repoussé /embossed, 20 cm h.
Chenrezig gau box,repoussé/embossed, 31 cm h.
Phurba, painted face, 20 cm h.
Prayerwheel, fgpl + silv, 43 cm. 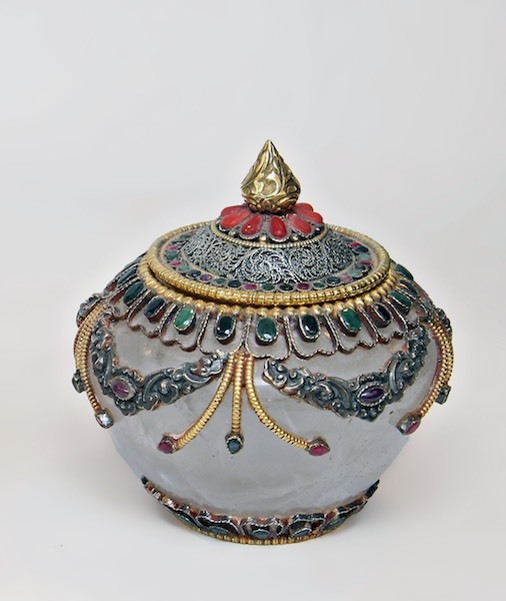 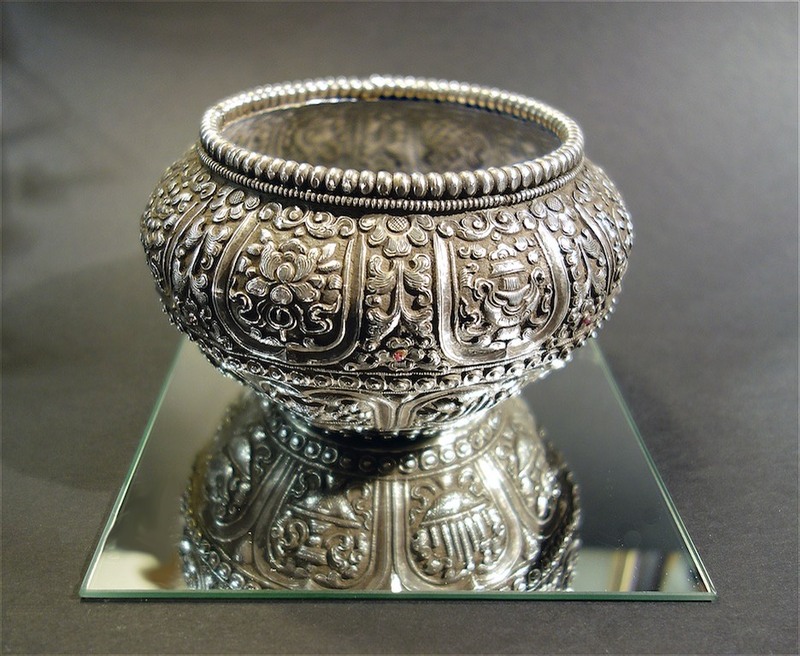 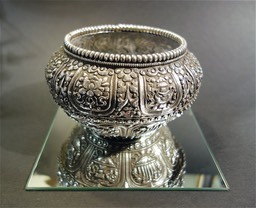 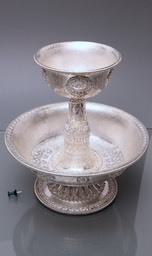 Crystal bowl + top, precious stones, silver, 12 cm. 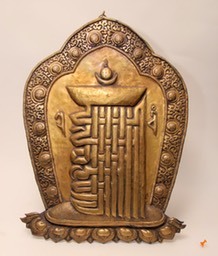 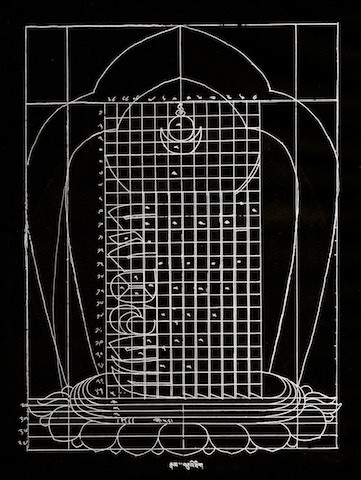 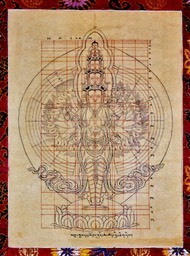 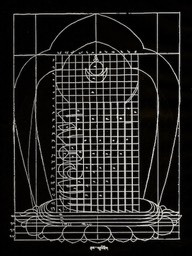 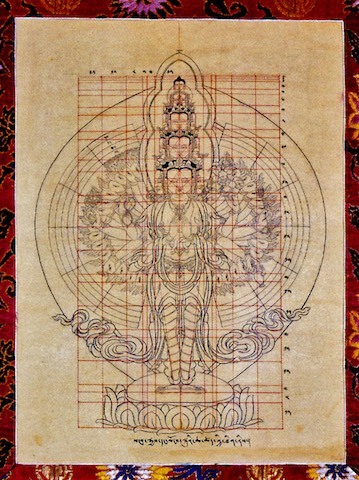 Kalachakra, brass, 53 x 38 cm. 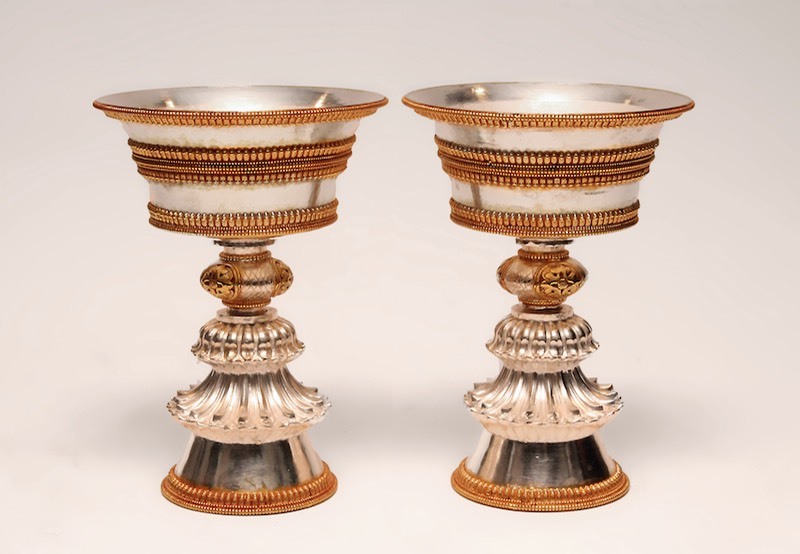 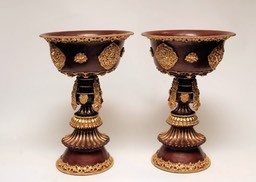 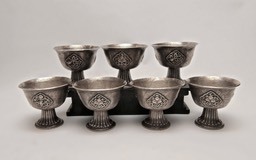 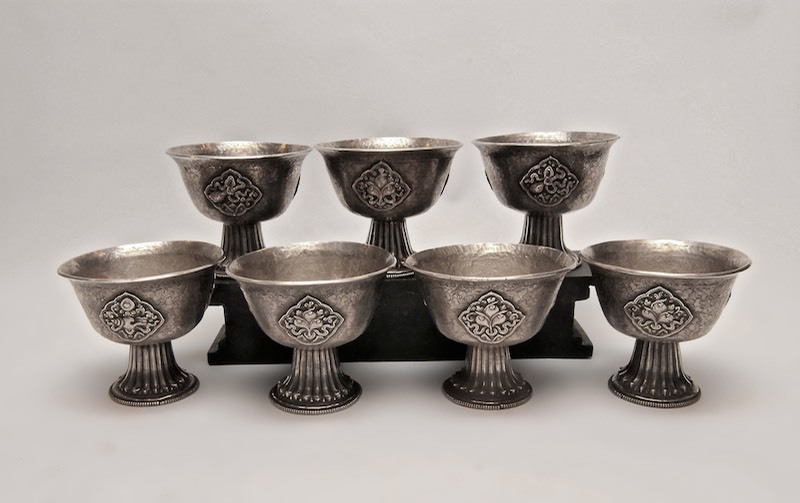 Watercup set, Bhutan, diameter 10 cm, 11 cm h.
Water - or alcohol - set, 21 cm h (1). 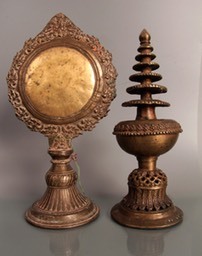 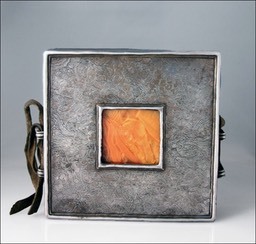 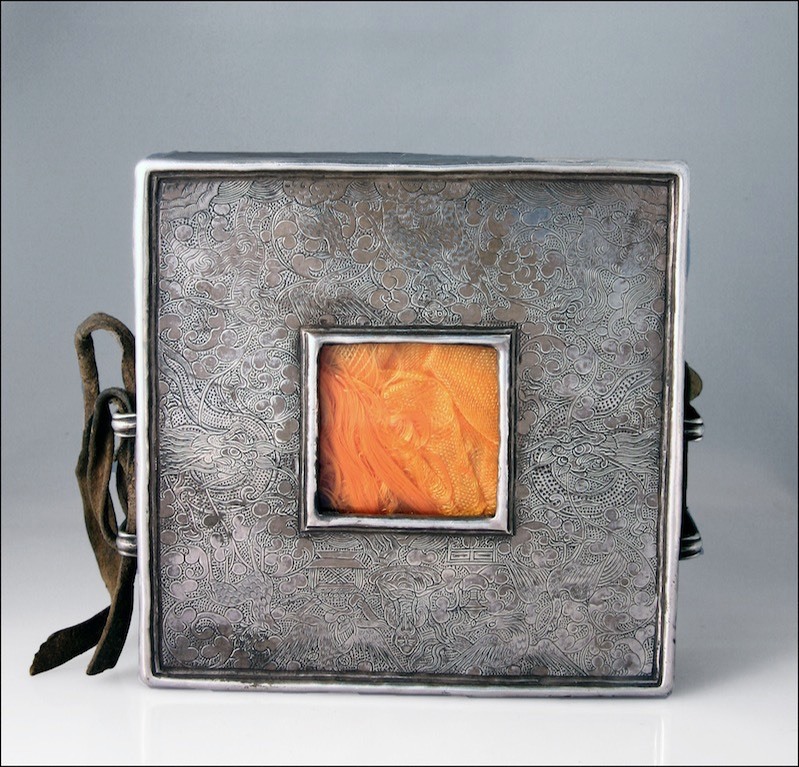 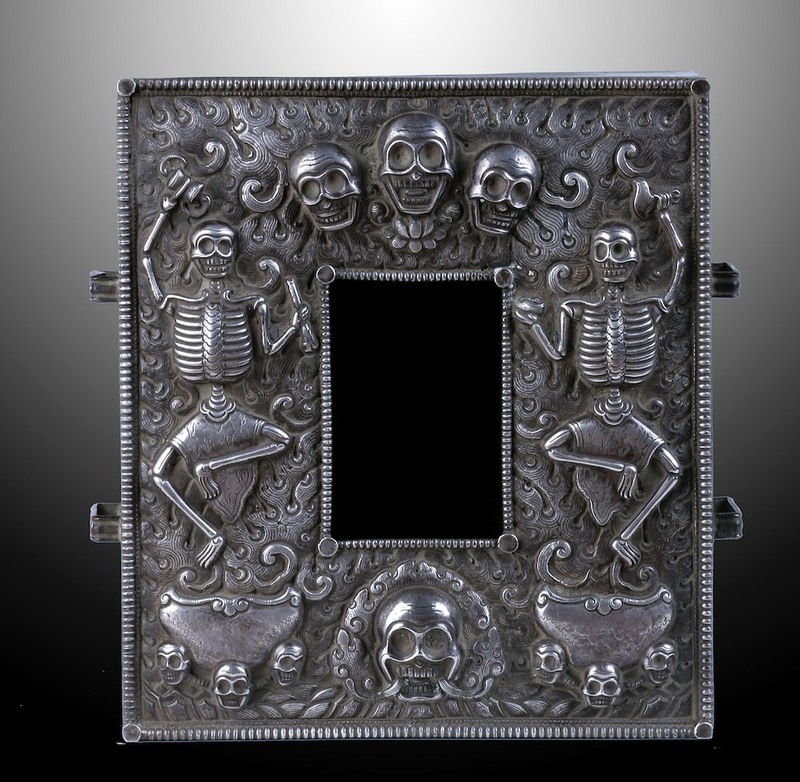 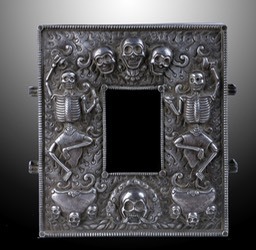 Thika pot and mirror, bronze. Astamangala set silv / fgpl. 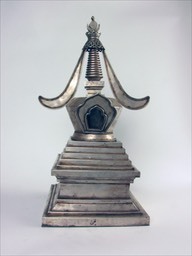 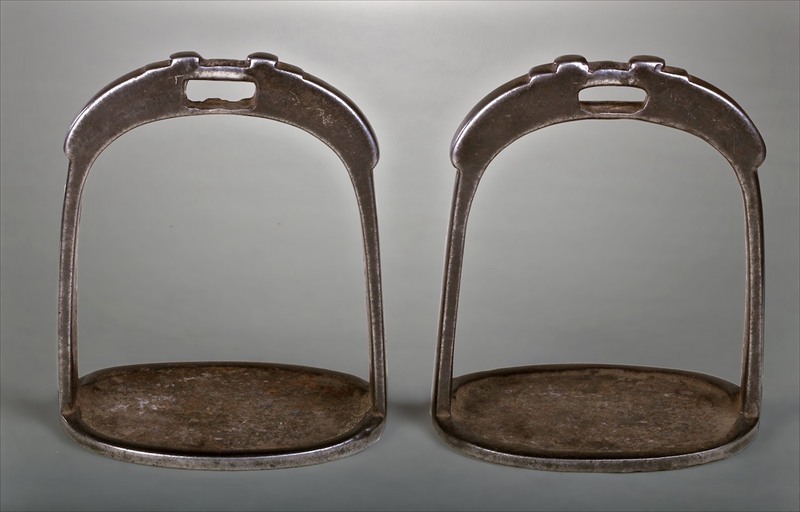 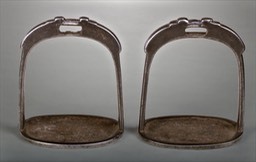 5 cm h.
Louts stand, fgpl, 33cm h.